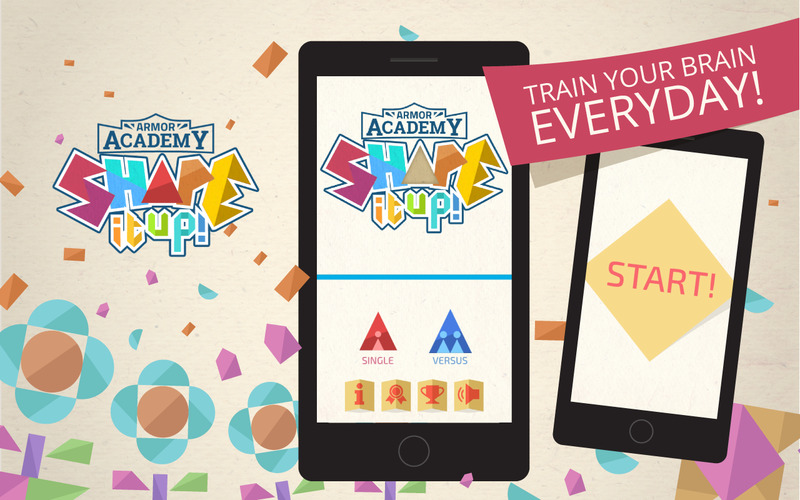 0.2 Armor Academy Shape It Up! 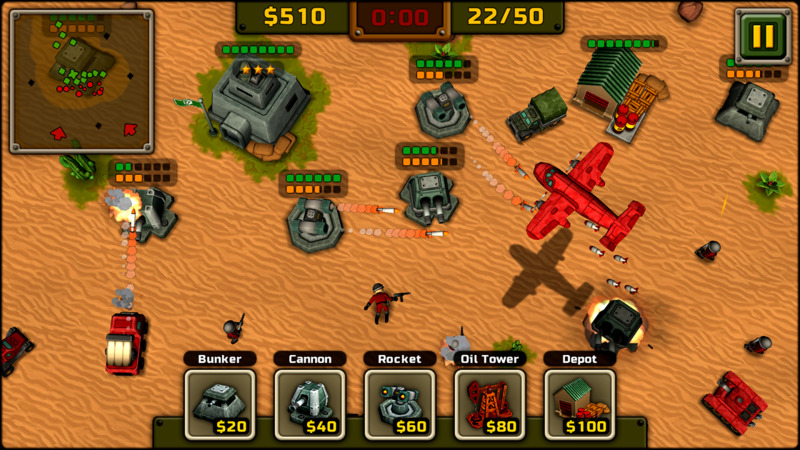 DefCom TD is a simple game that borrows a lot from older real-time strategy titles like Command and Conquer. There's no multiplayer and the tech tree isn't deep - it's all about survival versus computer opponents and gathering resources. 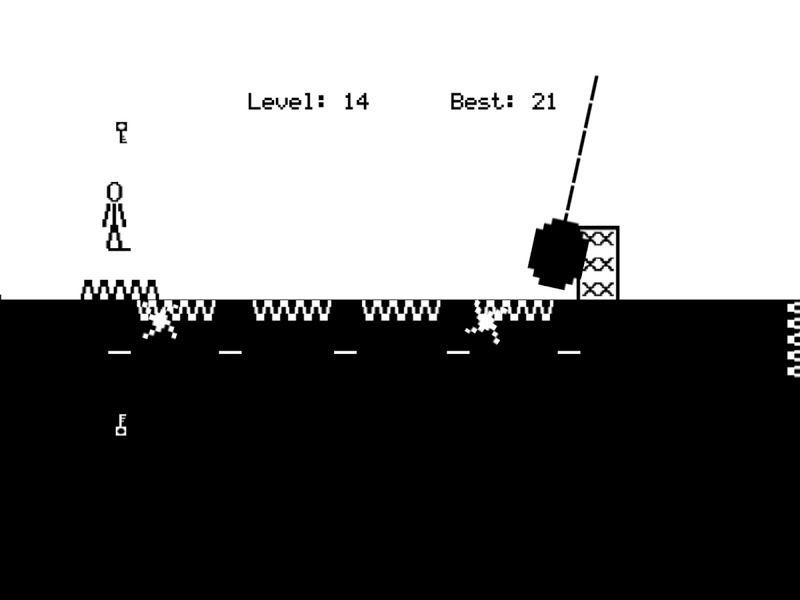 Stages and enemies are randomly generated, so even with the relatively simple setup, there's plenty of fun to be had. 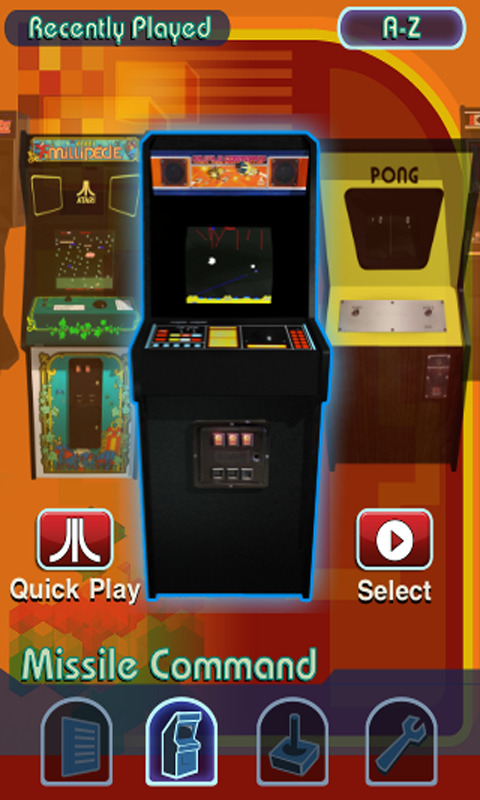 It's $1 with no in-app purchases. This is basically a free-form jigsaw puzzle: place triangles, rhombuses, circles, and other shapes on the board in the right combination before the time runs out and beat the level. 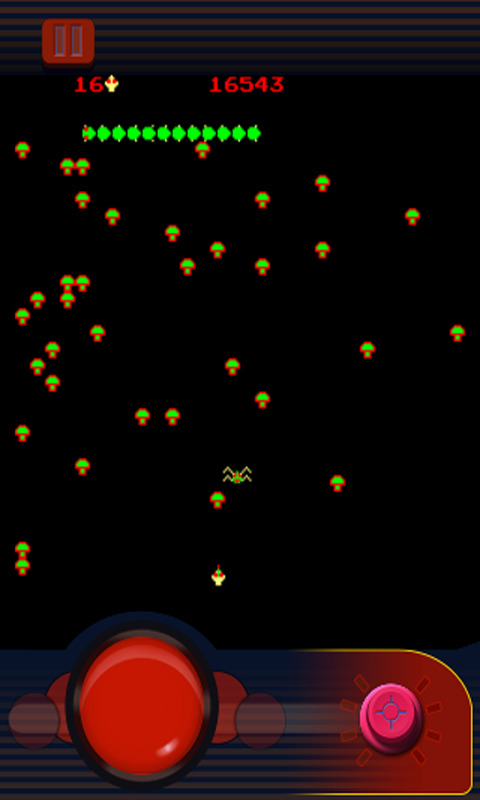 It's not particularly complex, but if you're a fan of spatial challenges it should offer up some good fun. 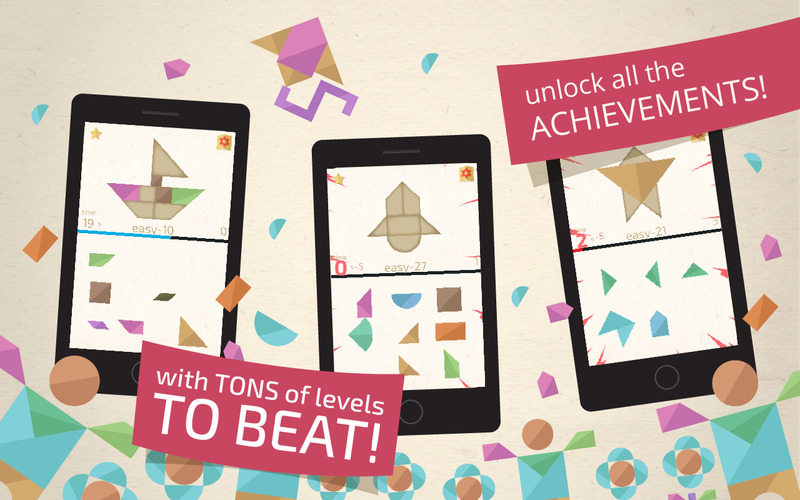 Train your brain everyday with exciting yet challenging shape puzzles. 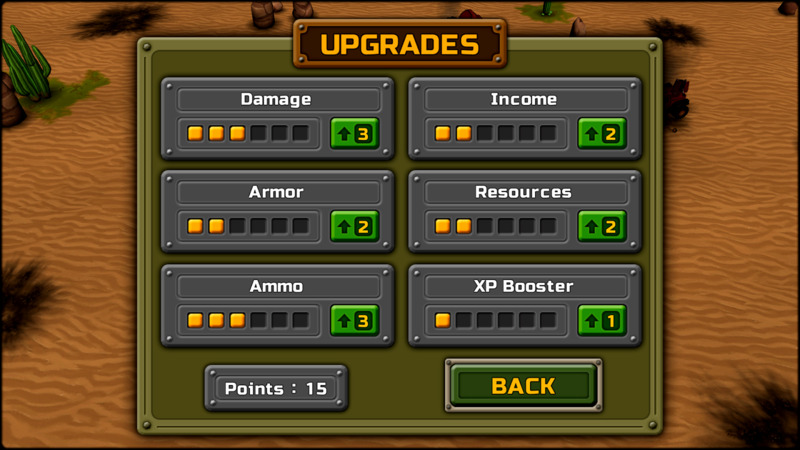 With tons of levels to beat and numerous achievements to unlock. 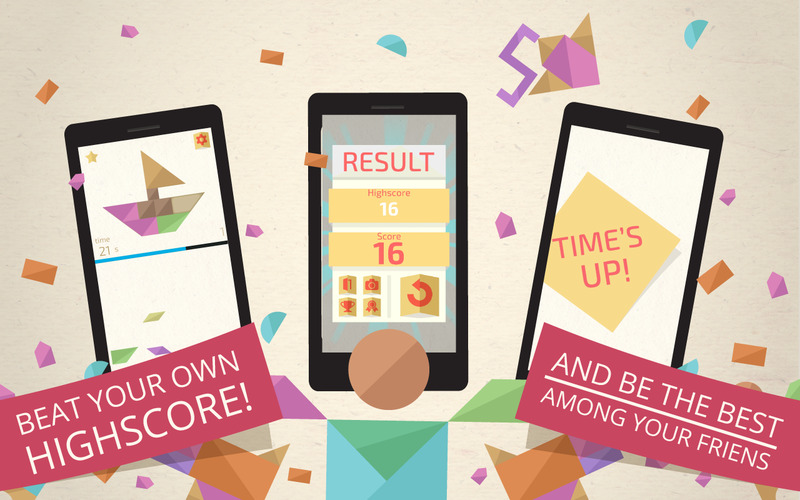 Beat your own high score and be the best among your friends. Armor Academy Shape It Up. Is a game that will train your brain and dexterity to its fullest. 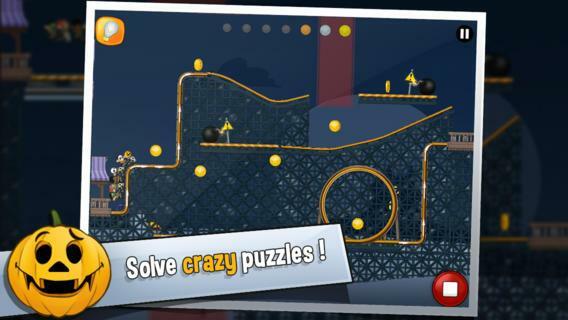 You have to identify and choose the right shape to complete the puzzles within the time limit. 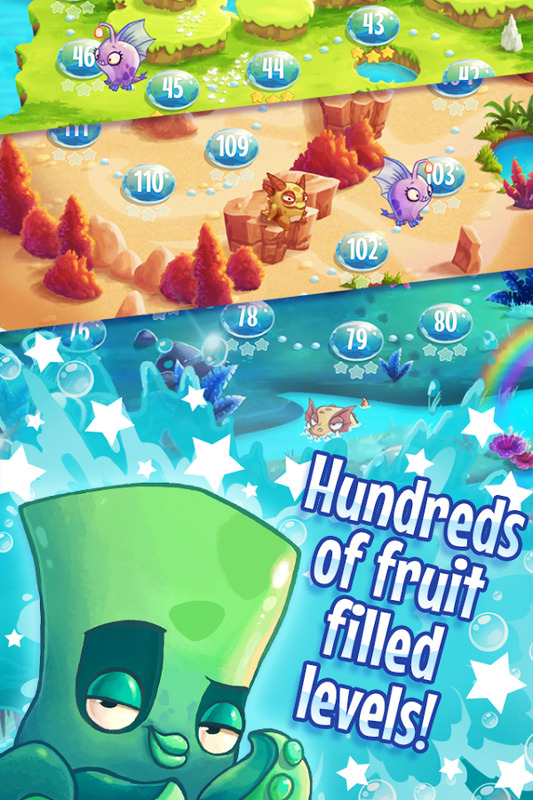 Solve the puzzle as quickly as you can gain extra time and beat your high score. Remember that ping pong montage from Forrest Gump? 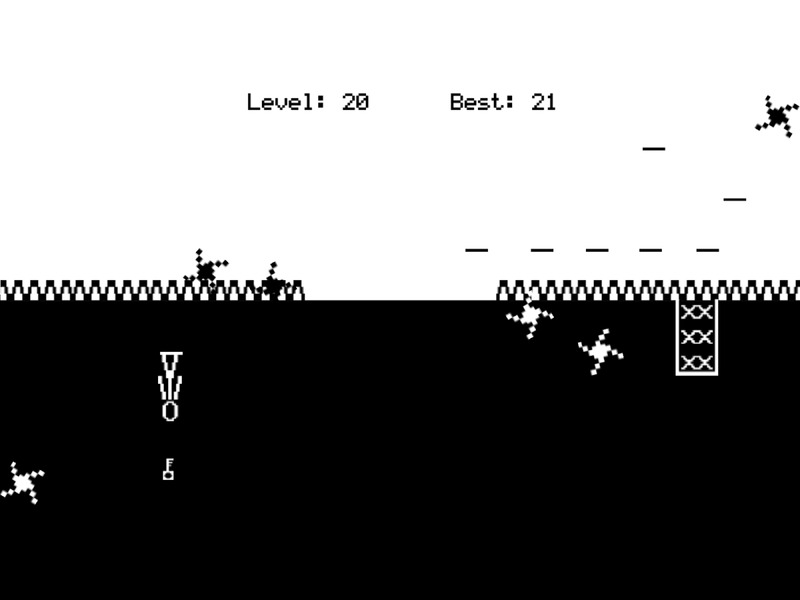 SkillShot is basically a minimal game version of that. The twitchy levels are all about timing and finding the correct angle to keep the ball going against a shifting backboard. 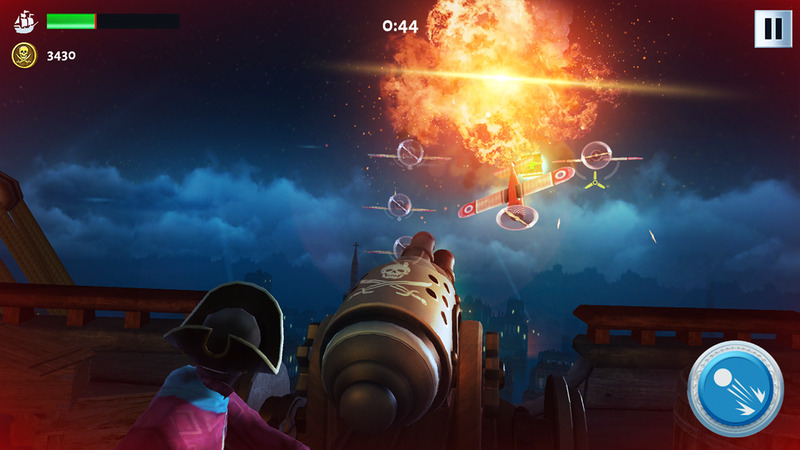 There's not much more to it than that, though SkillShot does include an online leaderboard system. 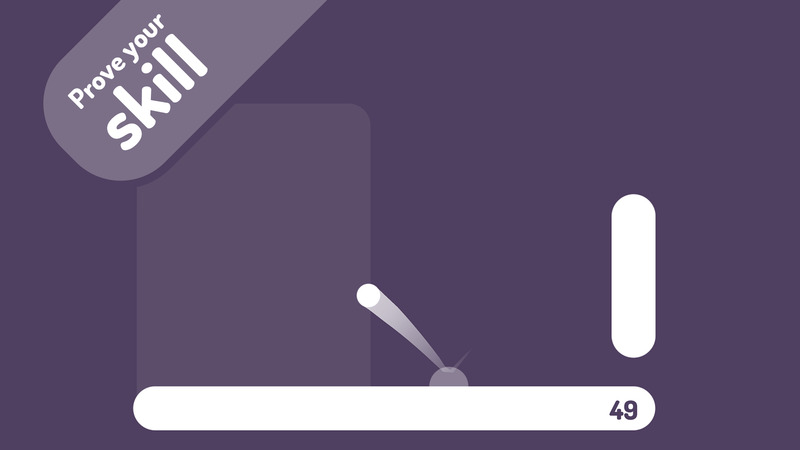 A $1 in-app purchase removes advertising. 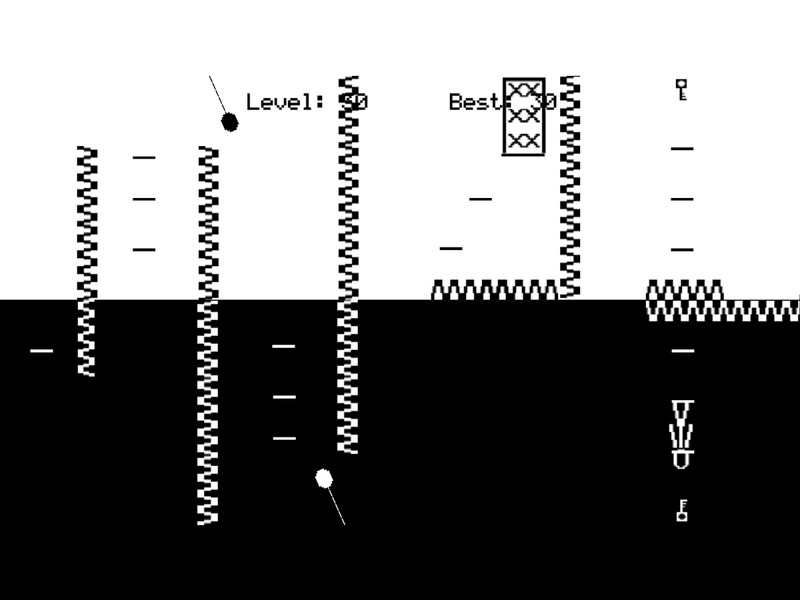 Asciid is a bite-sized platformer that uses ASCII characters for all of its background, hazard, and character art. 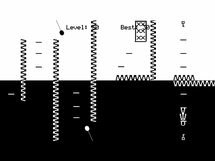 Well, allegedly - while the game does use the familiar characters as a sort of alternate pixel set, the raster graphics cheat a bit by scaling and rotating in ways that "traditional" ASCII art doesn't allow. 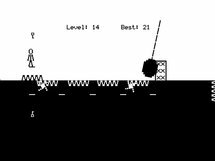 Simple controls allow for twitchy fun as you avoid slicing, stabbing, and crushing death, which would be really gruesome if everything wasn't made out of Alpha-Bits. 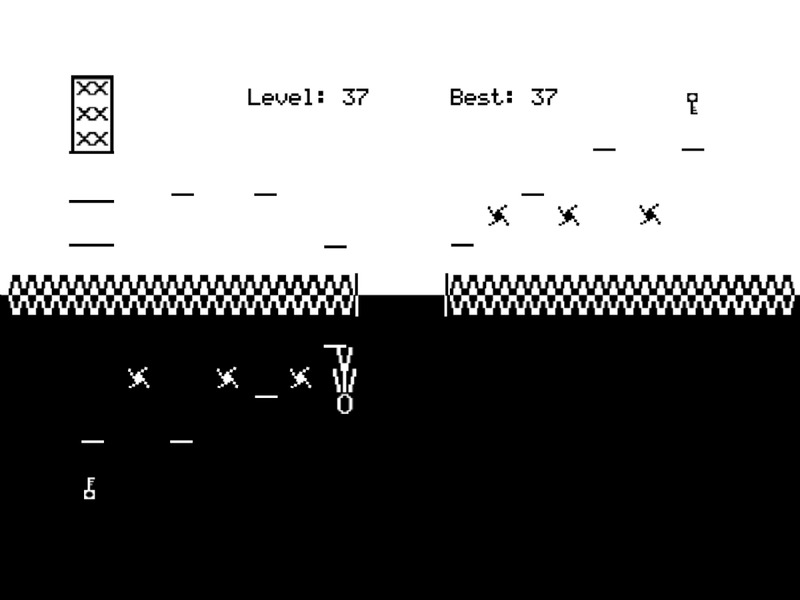 Asciid is a challenging game that confronts the player with perilous traps and exciting levels. 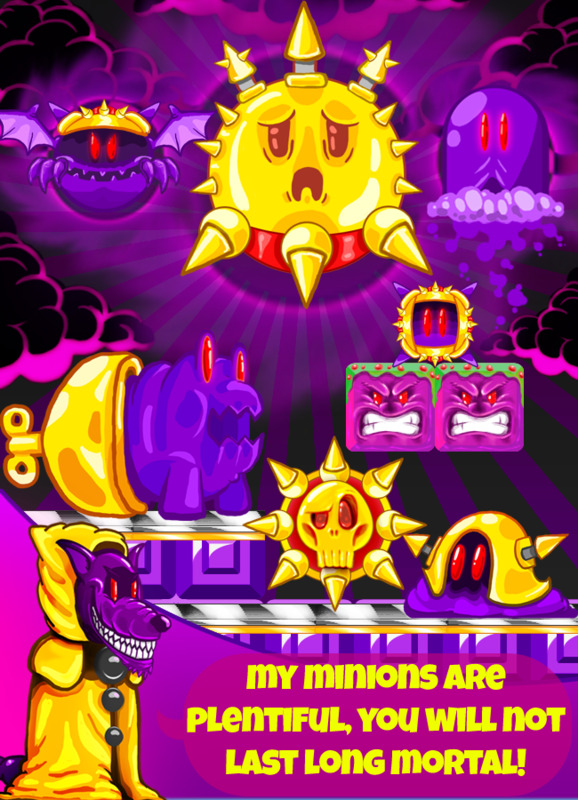 Use your power to switch between light and dark in each unique level to avoid the various hazards. 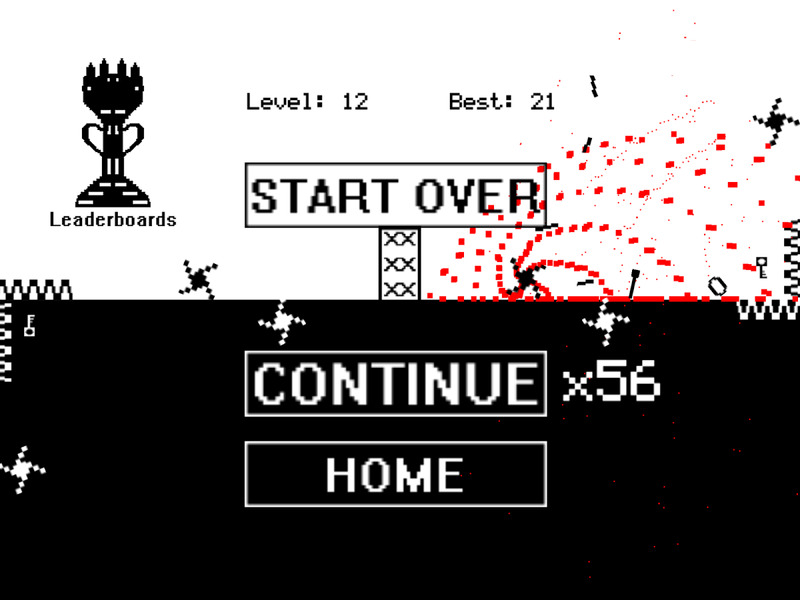 Along the way you'll find hazards such as Wrecking Balls, Sawblades, Floaters, Bobbers, Spikes and more. Grab the keys from each level to open the door. 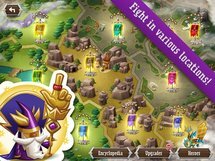 Once you've braved your way through over 50 Campaign levels, challenge your skills in New Game+ mode where you'll find an infinite combination of ever increasing difficulty that will keep you on your toes through every door. 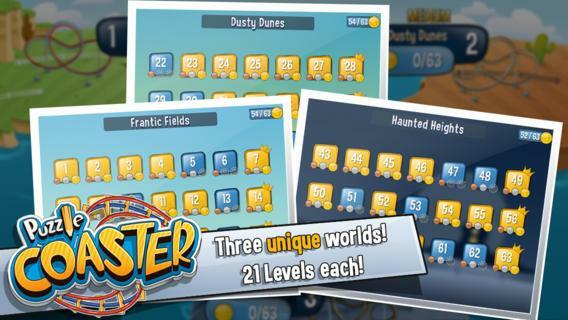 Puzzle Coaster is, as you might expect, a mix of physics puzzles and roller coaster building elements. 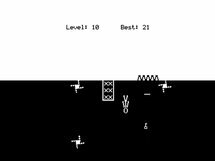 You'll have to use momentum and various turns and twists to get the roller coaster car to the target of the levels... or just fool around and mess with the passengers. 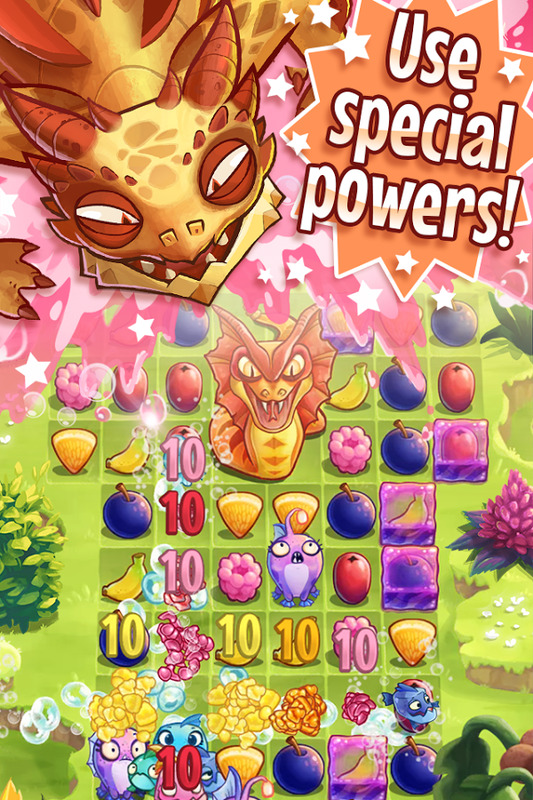 Over 60 levels are included, as are in-app purchases, but they're fairly minimal. Who has not ever wanted to design the perfect rollercoaster? With Puzzle Coaster, you're in charge. 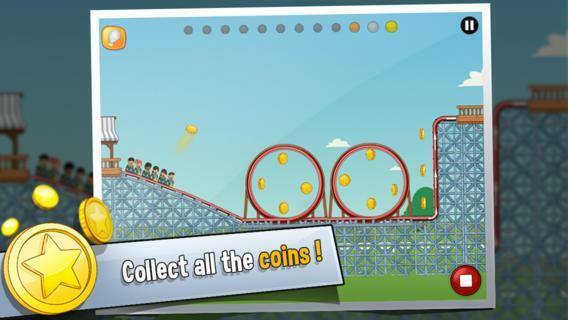 Use the correct rails to build a track to amuse the passengers and that allows you to collect coins. To do this, you can use a large number of pieces of madness, like loops, explosive and strong springs. As happens with your favorite attractions, things are quiet at first, but they soon become frantic. 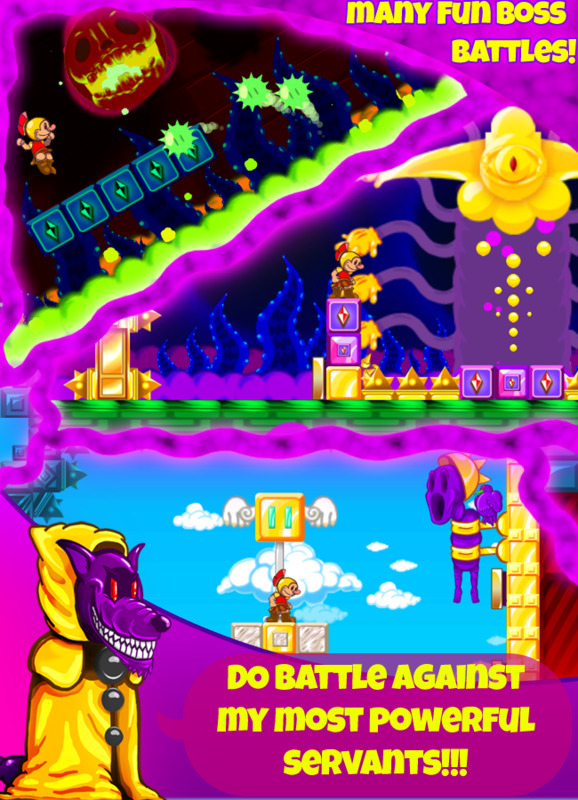 You will not find it easy to complete the 63 tricky levels. 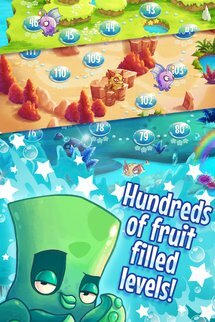 I think it's official: Rovio is out of ideas. 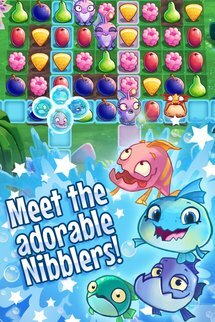 After bastardizing their Angry Birds franchise in the sequel with every "freemium" gimmick in the book, the company's next new IP mixes cutesy fish characters and the played-out match three genre. The game has an insane amount of levels, but there's nothing here that you can't get elsewhere... without having to try to dodge some of the in-app purchases. 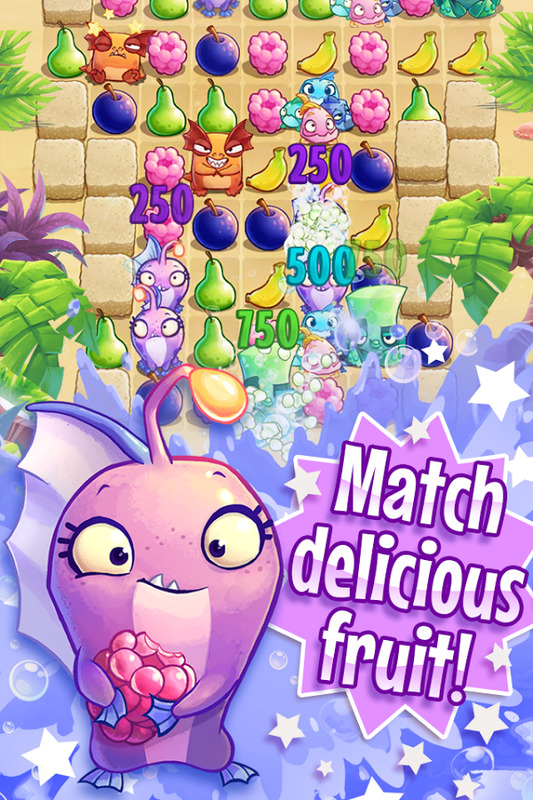 From the creators of ANGRY BIRDS comes a DELICIOUS NEW matching game with CUTE characters and FRESH and FRUITY puzzle gameplay. 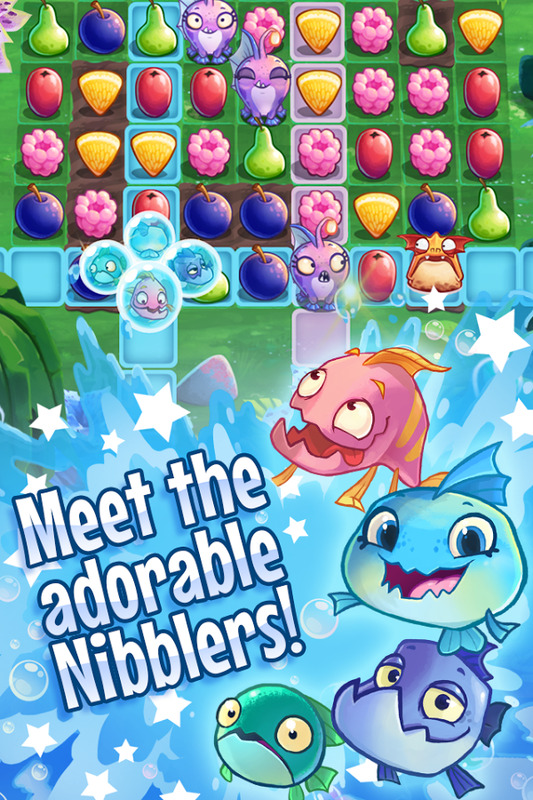 Meet the NIBBLERS – your fishy friends who only want to eat YUMMY fruit – ALL the yummy fruit. Om nom nom. 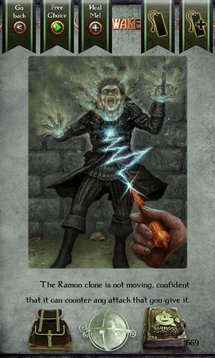 All fun and games right? Woohoo. Fruit party over here. 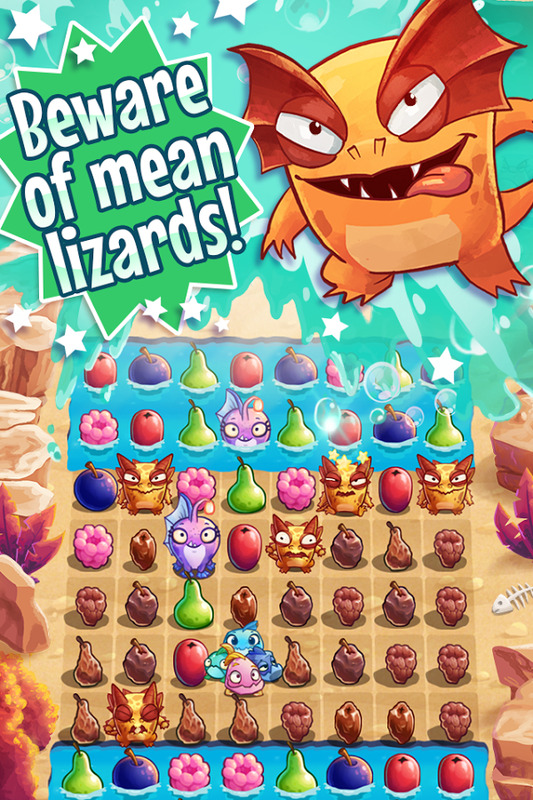 Well, the island’s reptilian inhabitants are not too happy about our group of aquatic party animals gobbling up all their fruit, and they’ll try to stop them at all turns. 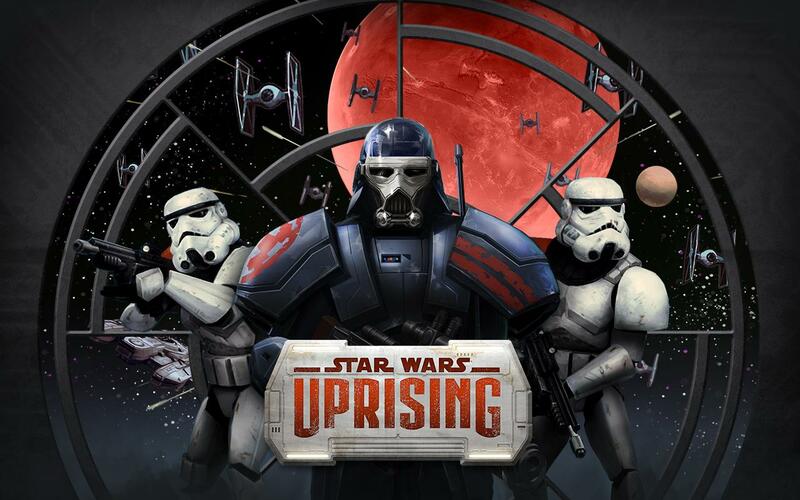 The first video game that's officially part of the new Star Wars continuity is Uprising, a Diablo-style top-down dungeon crawler that takes place after Return of the Jedi but before the new movie. 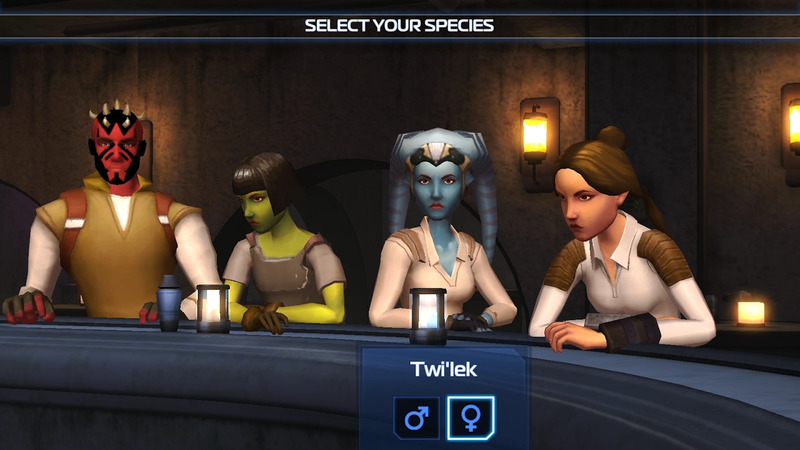 It's a fairly standard loot-fest that should be familiar to anyone who's played a similar game, but the lore is probably the biggest draw for Star Wars fans. 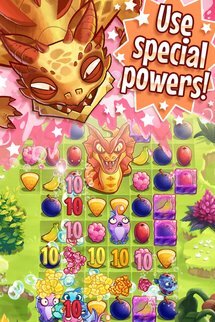 The good news is that it includes co-op gameplay, and the bad news is that it has predictably insane levels of in-app purchases. 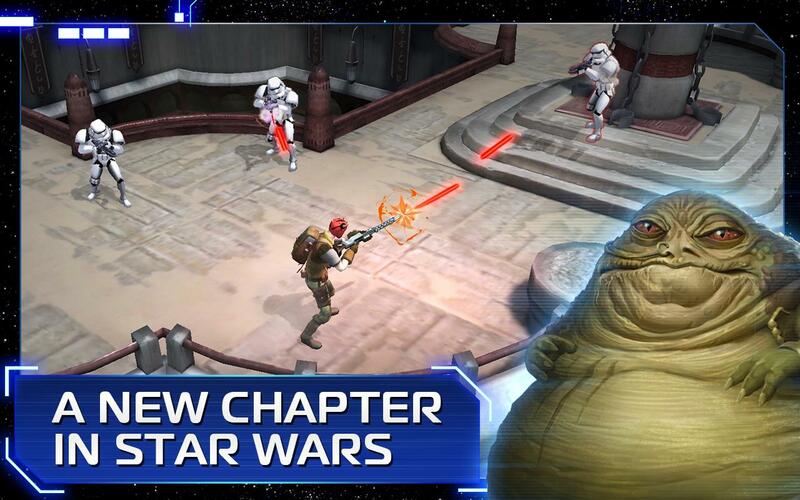 Star Wars™: Uprising is the first Star Wars RPG set between Star Wars™: Episode VI: Return of the Jedi™ and Star Wars™: The Force Awakens™. Join millions of players worldwide in a brand new fight against the Empire. 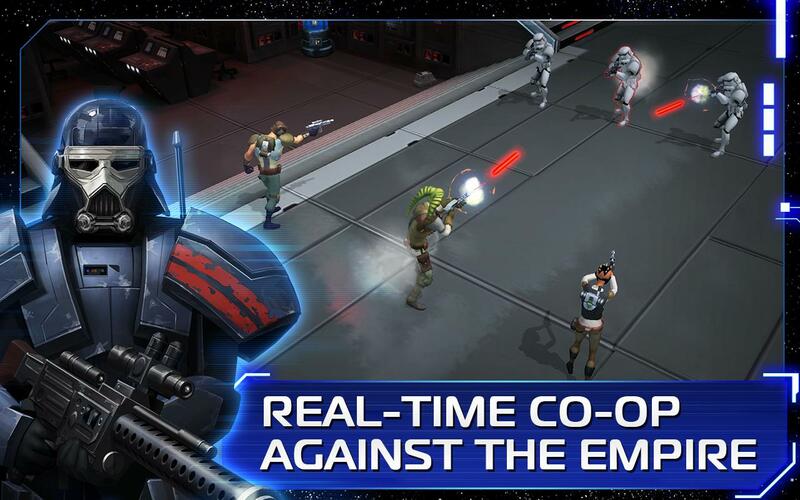 Engage in massive Sector Battles to dictate the expansion of in-game content, create your own powerful character and crew, and play real-time co-op with friends. 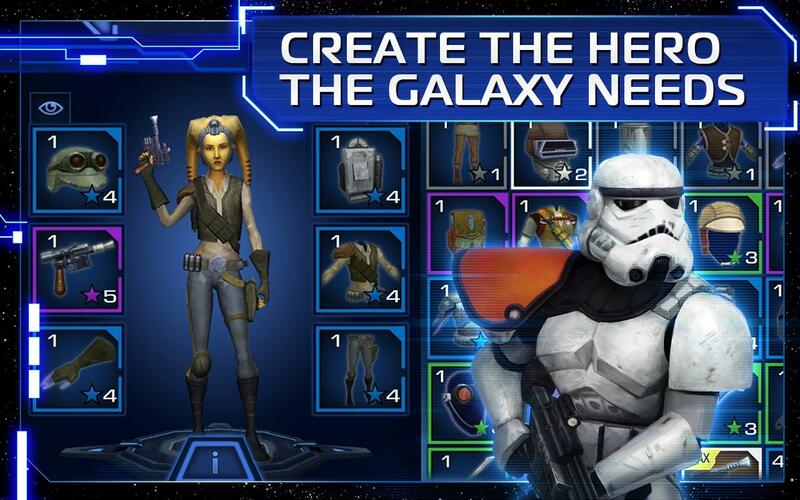 The Galaxy Needs a New Hero. What Kind Will You Be? Tin Man Games is back with another gamebook in its series, this time based on an original story. 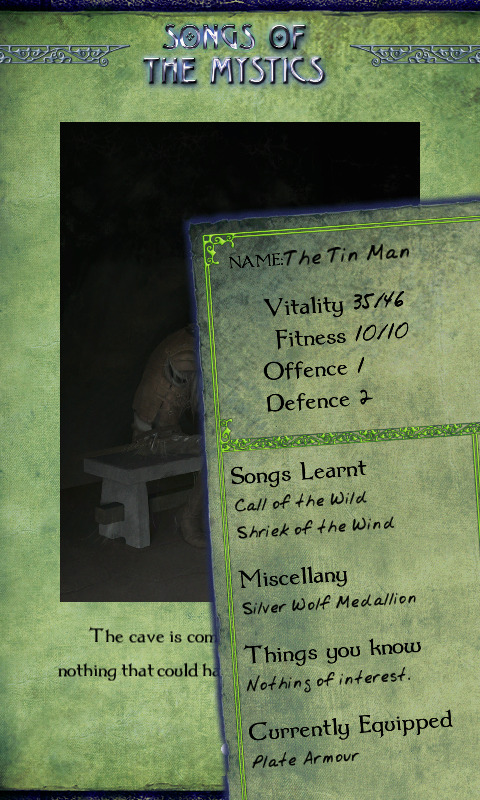 Songs of the Mystics sees you exploring a creepy island and expanding your music-based magic abilities. 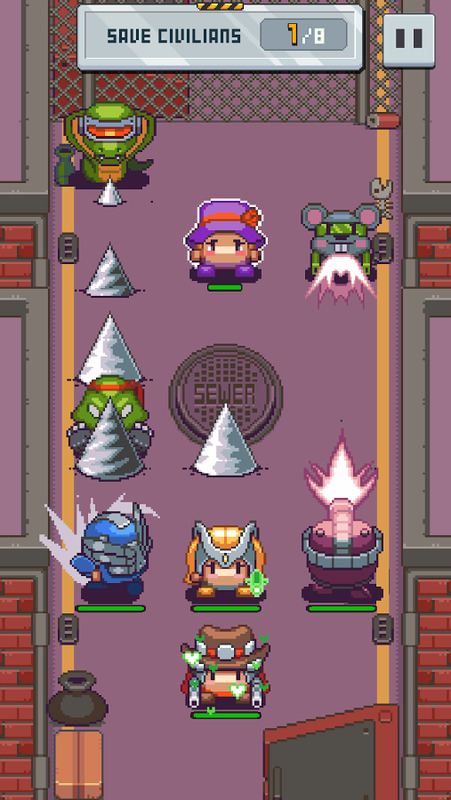 The structure and gameplay should be pretty familiar to fans of Tin Man's style, but this one includes full-color art. 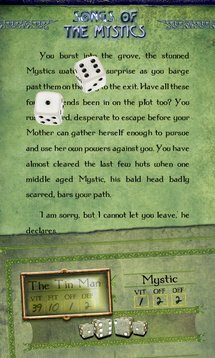 Travel to the secluded Isla des Misticos, home to the enigmatic Mystics. You are the daughter of the Earth Queen, leader of the Mystics, and find yourself in dire peril from the outset. As you uncover a plot to end your life, you also discover new magical abilities through the power of songs. 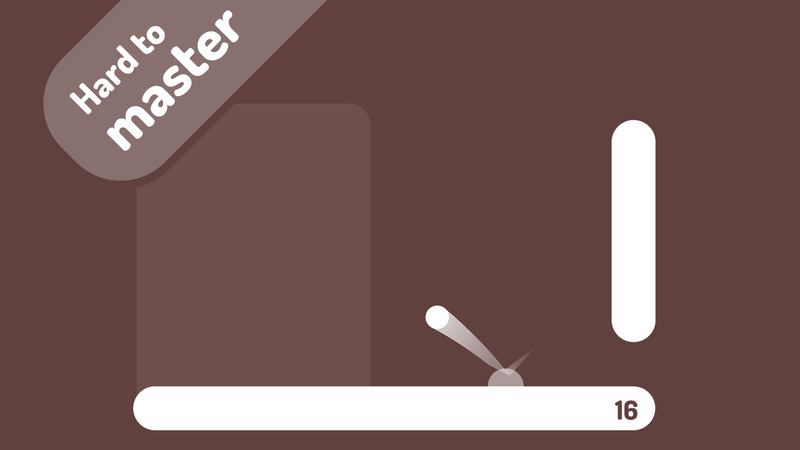 Can you escape from your predestined fate? 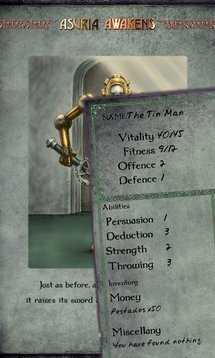 Wow, Tin Man decided to go for a double release! 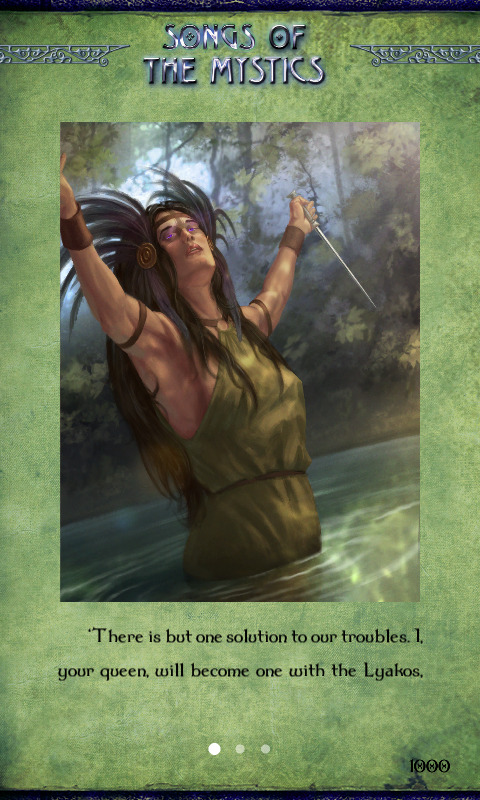 Asuria Awakens has no story connection to Songs of the Mystics, instead harkening back to the older games set in the same universe as Orlandes City. All the things I said above still apply, since it uses the same mix of RPG elements and Choose Your Own Adventure story progression as all of Tin Man's gamebooks. 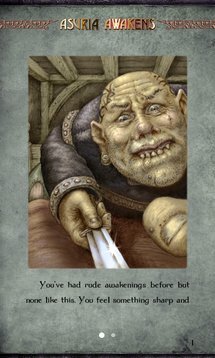 In the remote Orlandrian coastal town of Casporur, home to the giant statues that rise out of the ocean called the Children of Asuria, something is amiss. 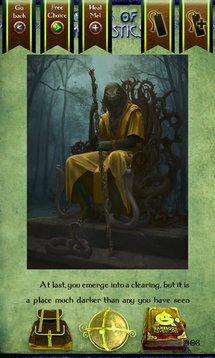 The emissary from Orlandes City has been sending messages which are growing more and more alarming – they talk of tremors and civil unrest. When the emissary goes missing, it’s up to you to investigate the disappearance. A new darkness stalks the land. Is this the second coming of Asuria? 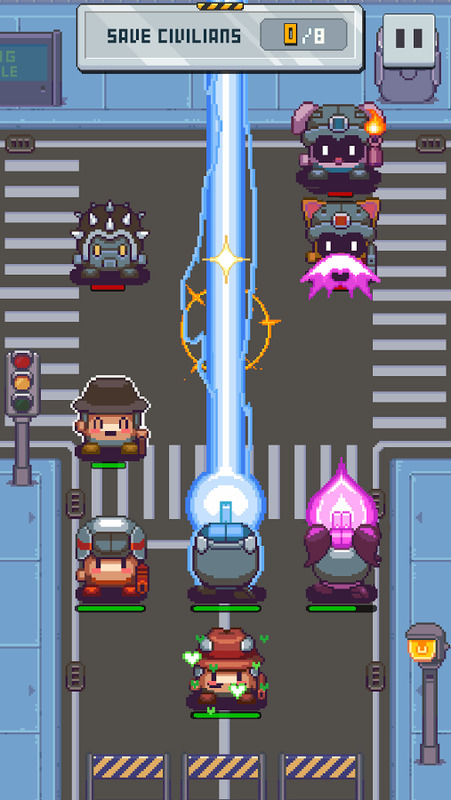 In Swap Cops, you control a squad of tiny comic book policemen who have to clear out waves of baddies with a mix of weapons and special abilities. 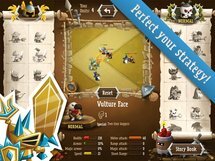 This is pretty standard turn-based strategy stuff, but the position-swapping gameplay (based on Swap Heroes) and a dedicated healer slot make things interesting. 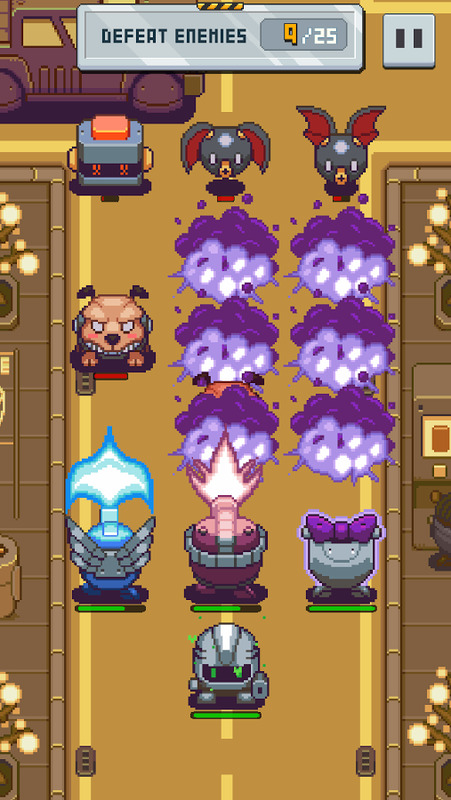 12 cops with special abilities and an endless setup will keep you coming back, but be prepared to his an IAP grind wall. 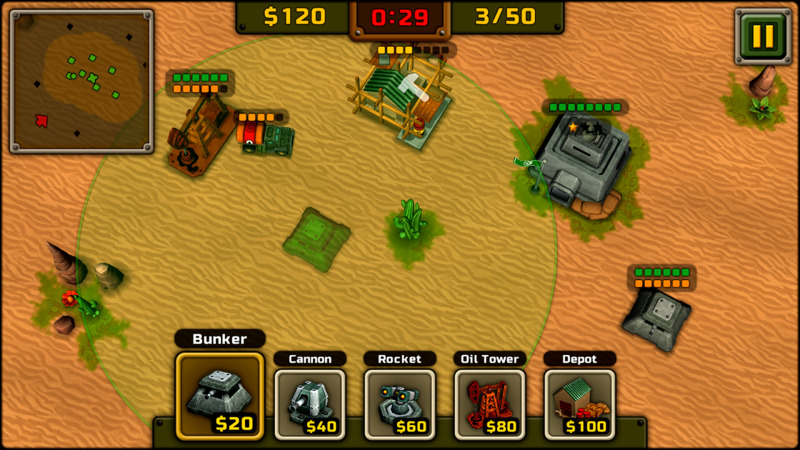 Swap Cops is a casual turn-based strategy game. 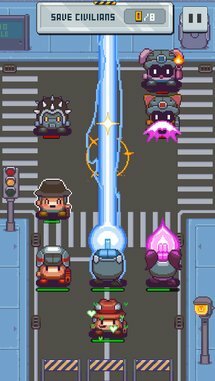 Build your team of mighty cops and blast your way through an endless supply of missions and enemies. 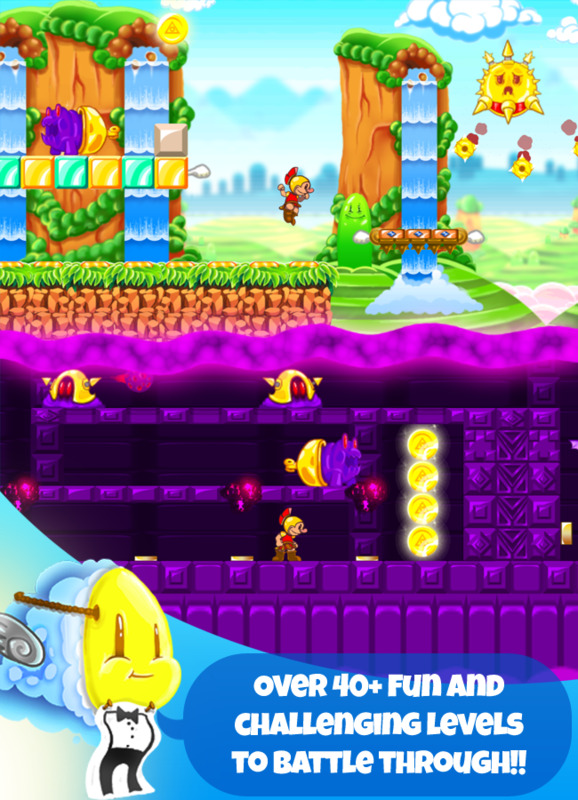 Super Spartan Fury World may look like a cross between a Mickey Mouse cartoon and 300, but it's actually a platformer that's inspired by the classic run-and-gun gameplay of Mega Man. (Don't take my word for it, it says so down there in the description.) The mechanics and gameplay should be familiar to any fan of classic platformers, but it's nice to see that the developer decided to make the game look new (i.e. non-pixelated) even if it plays old. MegaManX inspired platformer game. 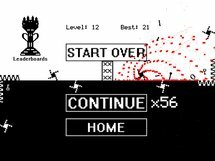 Just jump and shoot. Available for both Phones and Tablets. A great shadow has descended over Olympus the mythical land of the gods, chaos creatures born of the darkest parts of the void defile this once peaceful and majestic land. Zeus has called upon the bravest mortal of his time, the legendary brave and fearsome king of Sparta, Leonidas. 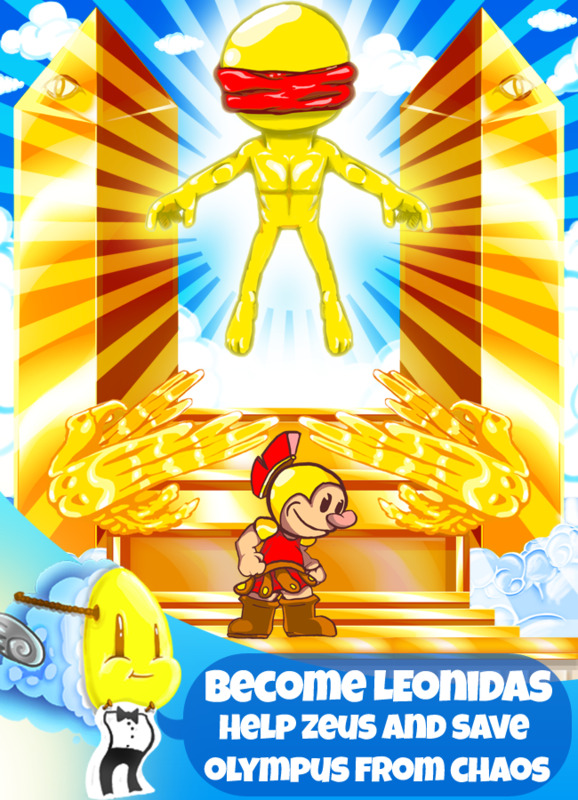 Answer the call and make your way to meet with the king of gods himself, Zeus. Ubisoft's Rabbids, once an extension of the Rayman series, apparently have their own TV show now. 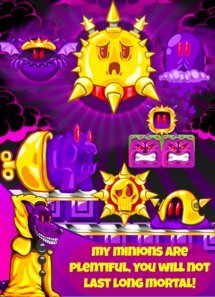 That doesn't seem to have affected the games themselves, which were and remain a series of manic mini-games starring the raving protagonists. 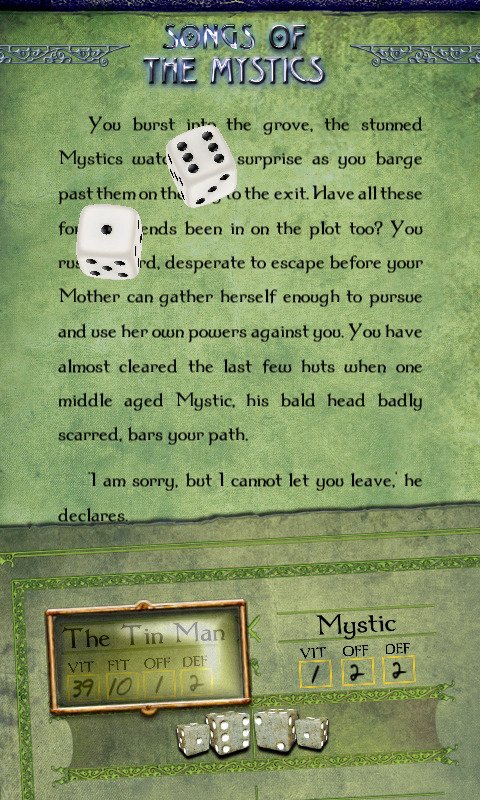 This title organizes said game into story-driven "appisodes," though exactly what kind of story you might expect from living embodiments of slapstick, I wouldn't venture to guess. 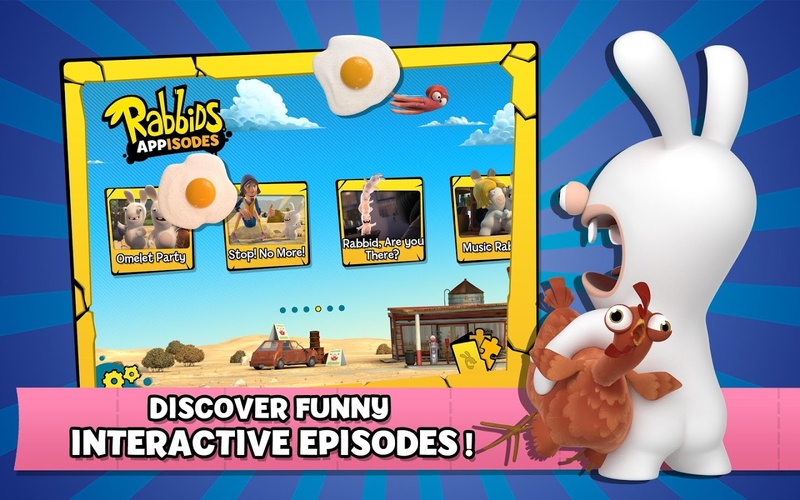 DISCOVER 7 interactive appisodes based on the hit animated TV show Rabbids Invasion. 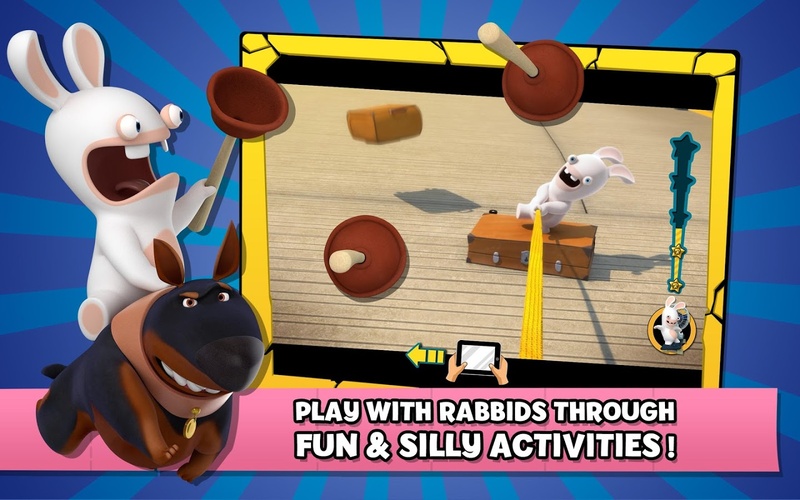 WATCH, PLAY AND INTERACT with Rabbids in various mini-games. 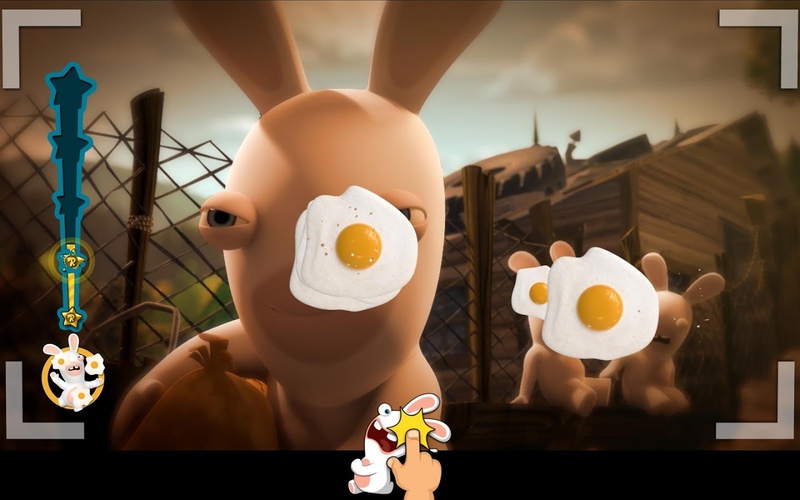 Tap to throw eggs, tilt your device to prevent Rabbids from falling down, swipe to hit them and scream the iconic BWAAAH. FIND hidden objects in each appisode to increase your scoring. Even amid the Rabbids mayhem, stay focused during the entire appisode. Do we need an origin story for Captain Hook and Peter Pan? Did anyone ask for one? Either way we're getting one from Warner Brothers, and here's the official tie-in game. 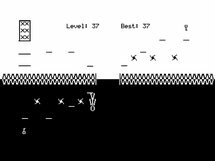 The graphics look great, but it appears to be a set of somewhat simple mini-games that vaguely tie into the fantasy pirate theme. At least there are no in-app purchases. 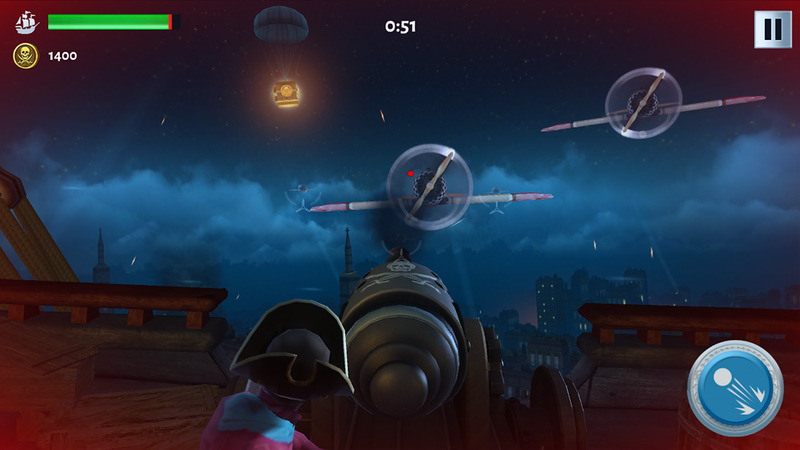 Man the cannons and fend off attacks from the air. 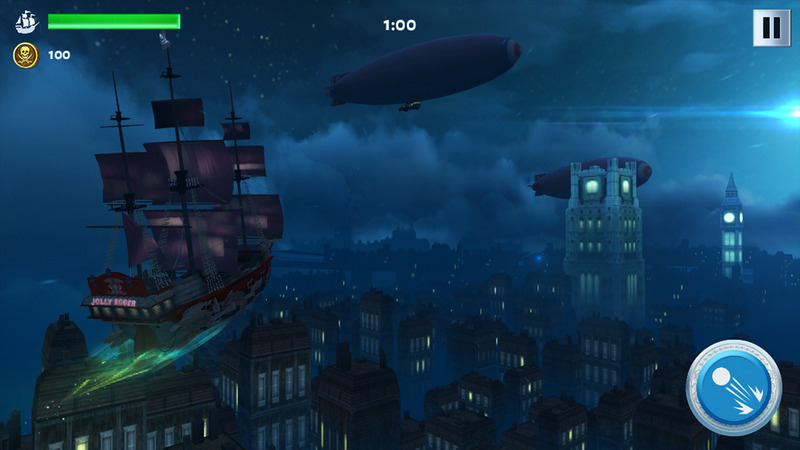 Hold on tight and experience a thrilling flight through London as you captain the Jolly Roger and escape to Neverland in the official game for Warner Bros. movie "Pan." Official Movie Sound Track and awesome sound effects. 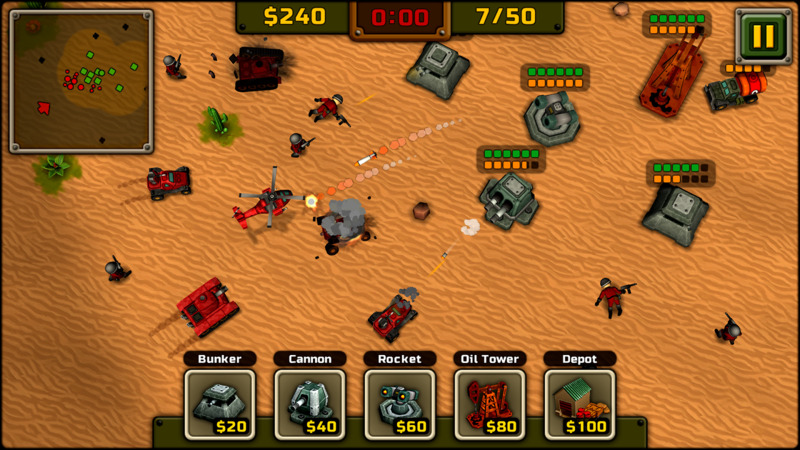 A variety of explosive weapons for you to control. 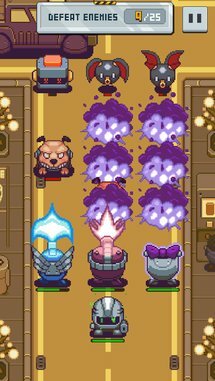 Hoards of enemies waiting to take down your ship. Fly the Jolly Rodger.!.! We’re sailing now. 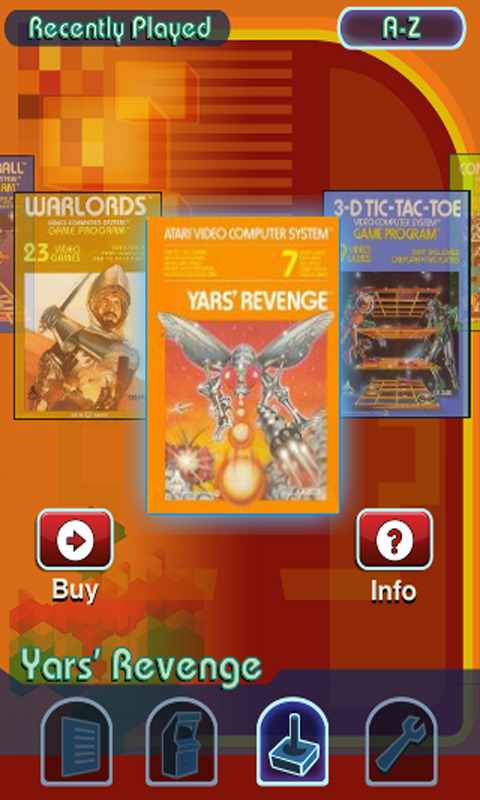 Atari is back with another overpriced bundle of games that were already outdated before most of you were born. 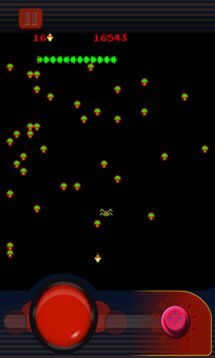 It's not clear exactly what's "remastered" about this version (an older, similar collection has disappeared from the Play Store), but it does come with a free copy of Missile Command. The rest of the 100 games (about 15 of which are actually notable) will need to be paid for via in-app purchases. 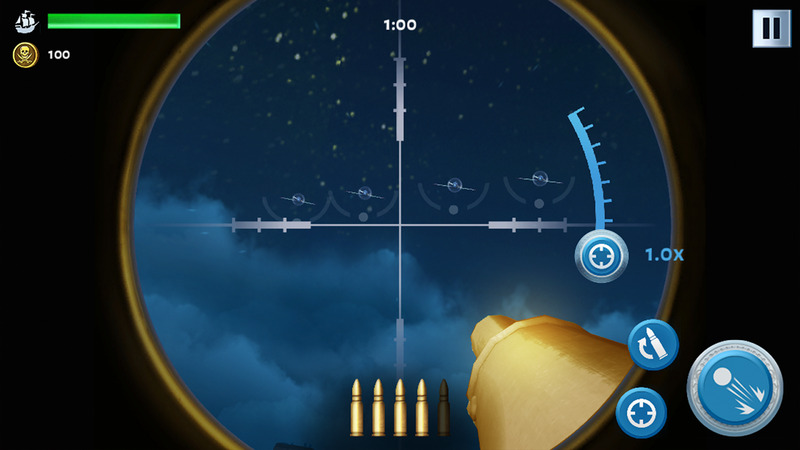 Download this App to receive Missile Command for FREE. Relive the Golden Age of Gaming with a collection of the most popular retro Atari games from the 70s and 80s. 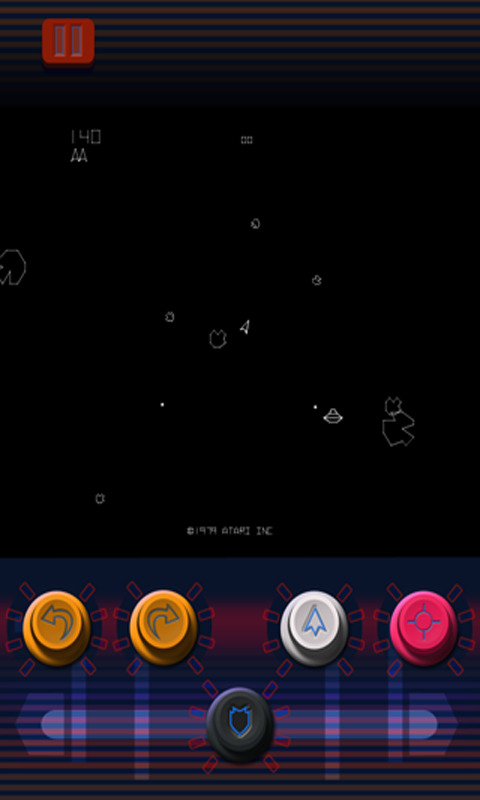 AGH has been remastered to work on more modern Android devices. This extensive catalog pays homage to original Atari classics, with controls designed to mimic what fans remember from 30 years ago. 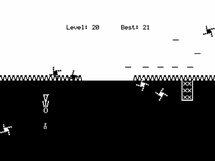 For those who love the classic gaming experience, this handheld breakthrough guarantees hours of fun. 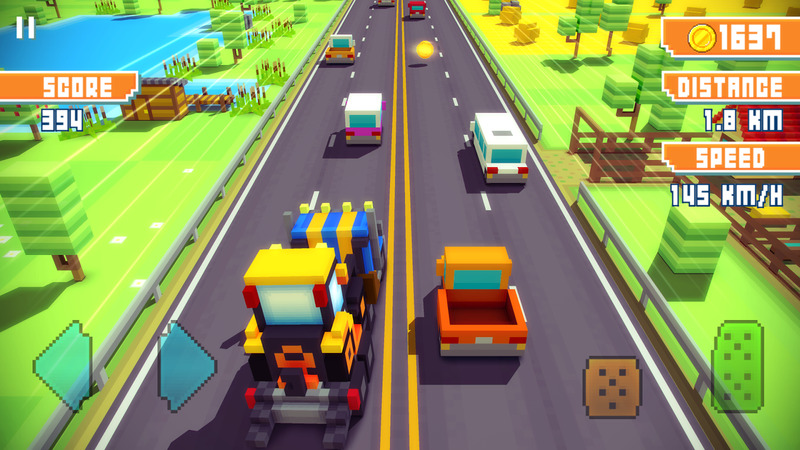 This is a driving game that copies Crossy Road's voxel aesthetic and collect-em-all focus. That's about it. 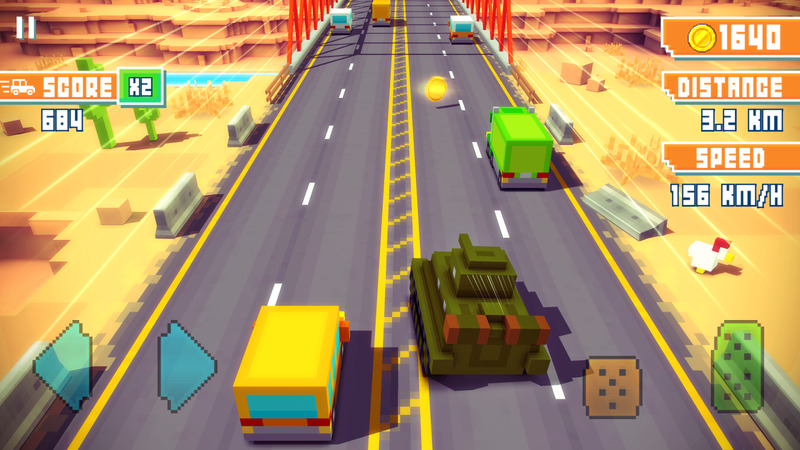 If you like the graphical style, Blocky Highway puts it to very good use. Otherwise you can probably skip this one. 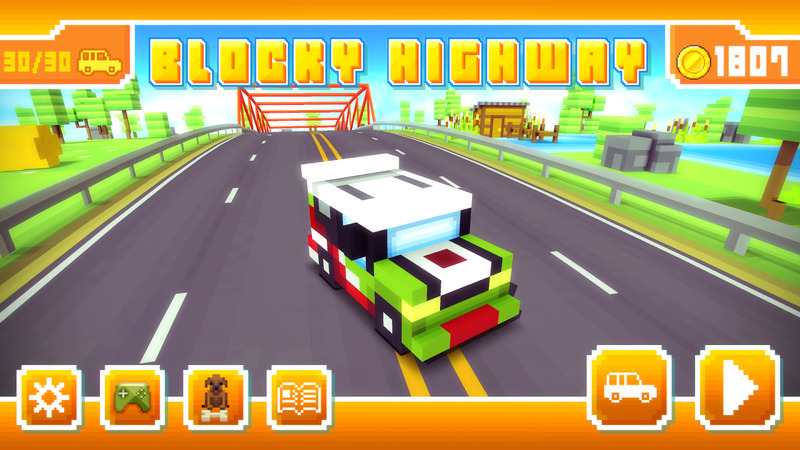 Blocky Highway is about racing traffic, avoiding trains, collecting cars and most importantly having fun. 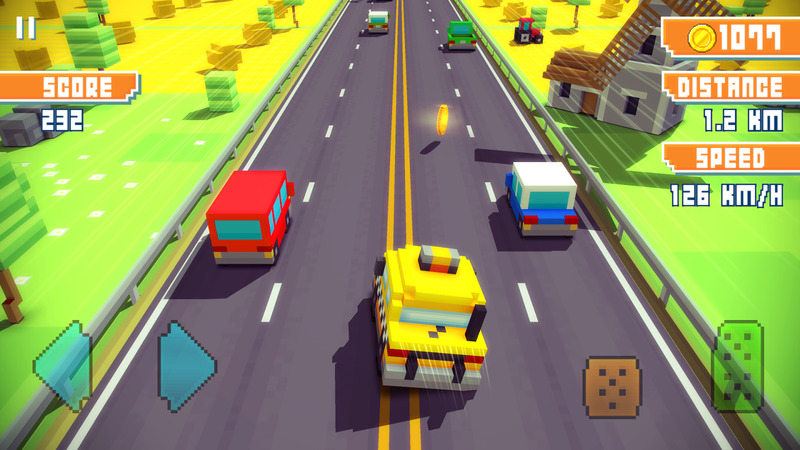 Collect coins, open prize boxes to get new cars and complete collections. Drive at full speed to score big and be the #1. Crash time. Control your car after crash, hit traffic cars for extra score. 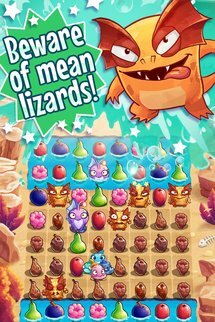 Apparently this Nickelodeon-published game is based on a fictional game in one of the network's shows. 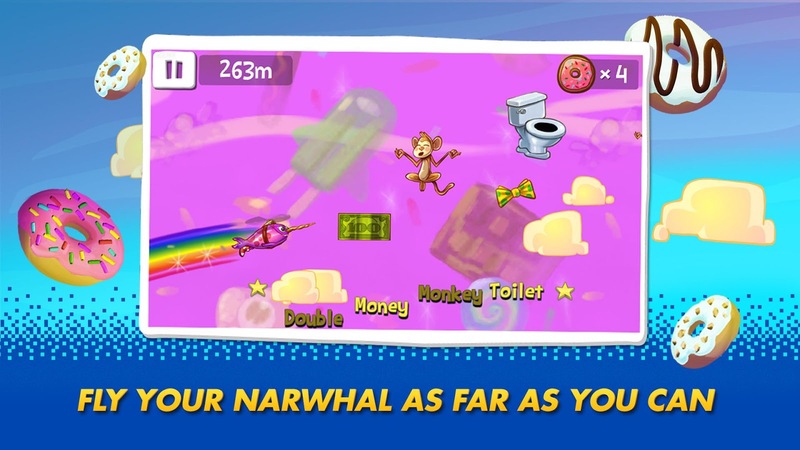 It uses a sort of modified endless runner format where the objective is to guide a flying narwhal through the water and the sky, collect donuts, and bounce off of floating sushi. 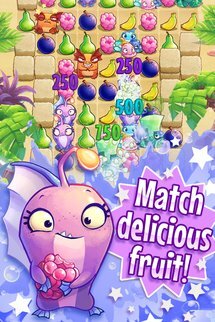 The game uses currency for power-ups and has advertising, but no in-app purchases, which is always nice to see for apps aimed at kids. 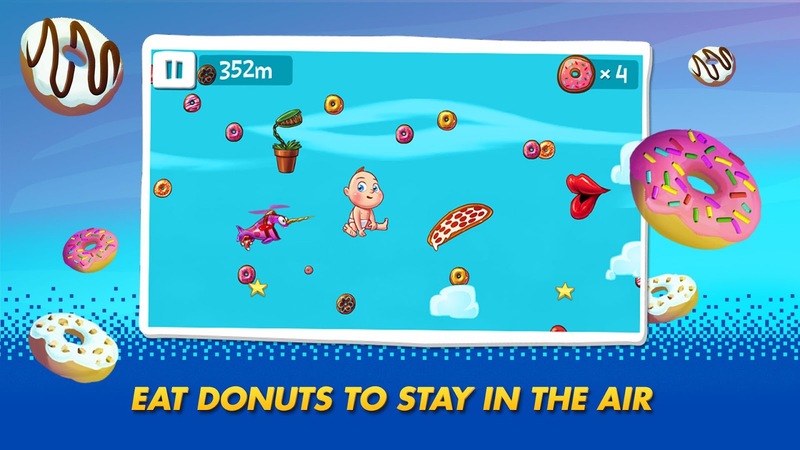 Bounce through the sky collecting donuts to keep your narwhal up in the air. 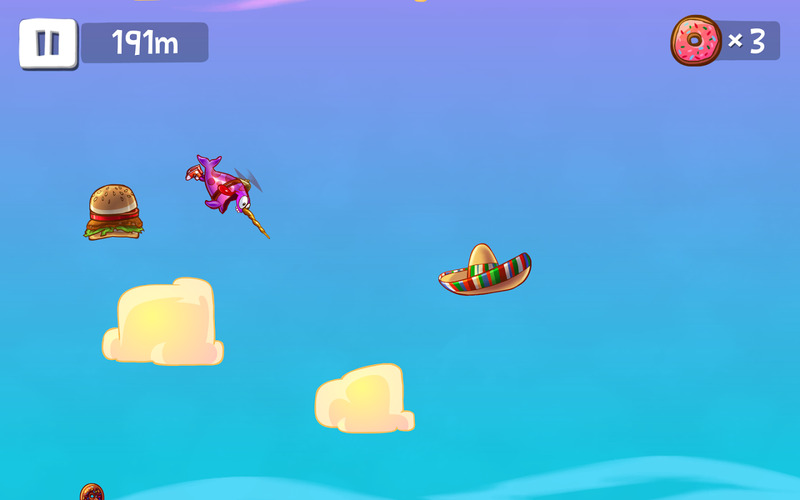 Use clouds and crazy objects to bounce higher and farther. 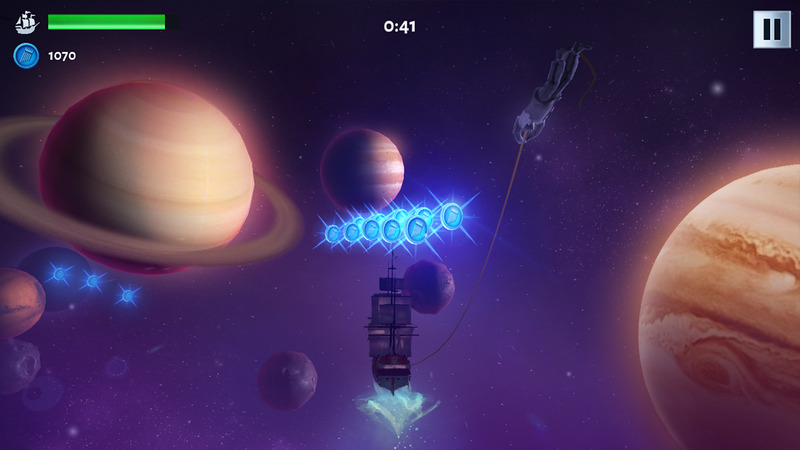 Insane combos will take your narwhal into outer space. And scuba gear will send him on an underwater adventure. 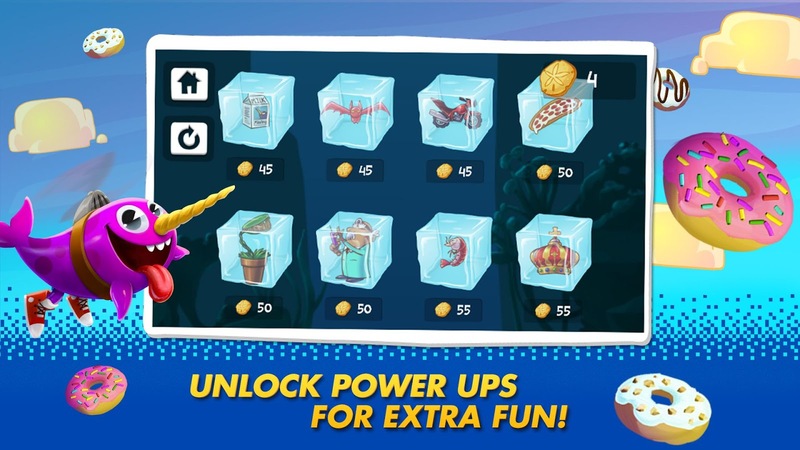 Earn coins to unlock awesome items, blasting your narwhal farther than he’s ever gone before. Apparently this is a game that's based on the PBS kid's show Plum Landing. 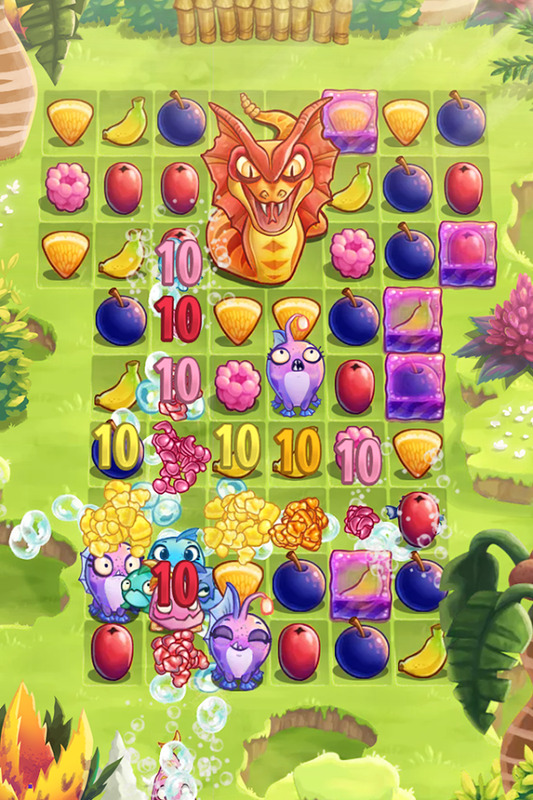 Being a permanent bachelor, I have no idea who or what Plum is, but the game seems to be all about stitching evolutionarily improbably critters together with pre-made parts. 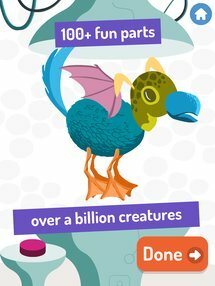 As kid's games go this one is fairly benign, but it includes the ability to care for your creature with a proper habitat and diet, then inserting them into the "real" world with the camera. 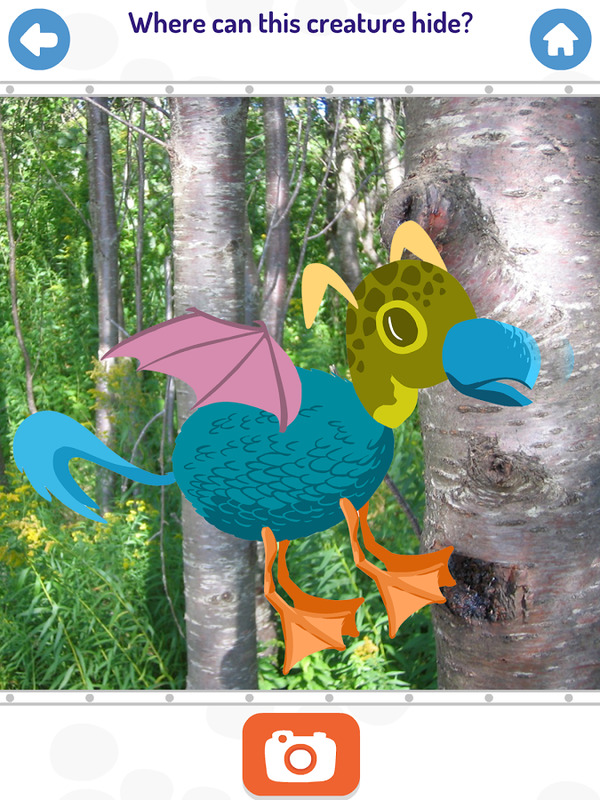 Go on a nature adventure with Plum's Creaturizer. Kids and families can build wild creatures, then head outdoors to photograph them right in their own backyard. 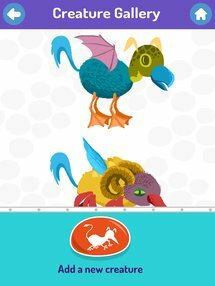 It's part of PLUM LANDING, a PBS KIDS project that helps kids develop a love for this amazing, beautiful, and dramatic planet we call home. 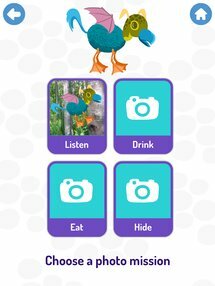 The app provides opportunities for kids and their families to interact with nature in a thoughtful way and have fun exploring together. 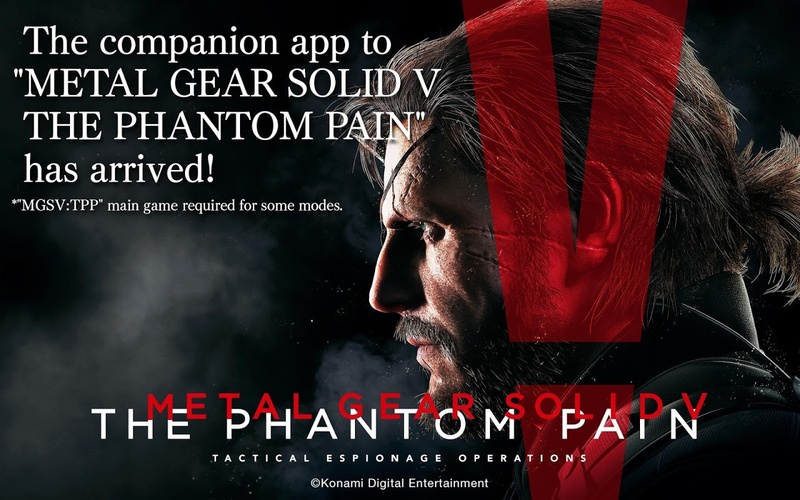 Despite apparently shunning the world of console games and millions of formerly happy fans around the world, Konami would still very much like you to buy Metal Gear Solid V. As in the preview game, they've created a companion app with various functions, including a second-screen map and a "real" version of the game's fictional smartphone/PDA thing. Of course you'll need a copy of the console game to do anything. Long live Metal Gear. Long live Hideo Kojima. #FuckKonami. 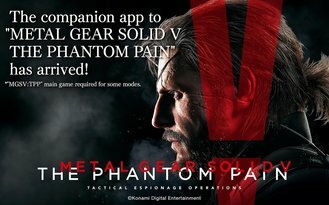 Extend the world of "METAL GEAR SOLID V: THE PHANTOM PAIN" (PlayStation 3, PlayStation 4, Xbox One) into the palm of your hands. 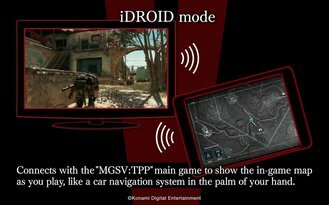 Use this app as a support terminal to display maps, call support helicopters while playing the console version of METAL GEAR SOLID V: THE PHANTOM PAIN. 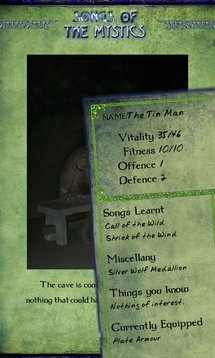 While away from the main game, listen to music tracks featuired within the game. 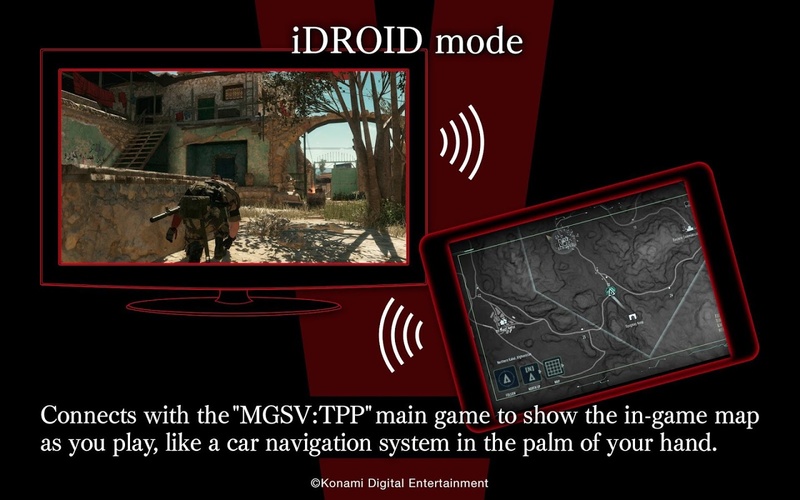 Linking your app to the main game allows yo to navigate the world of METAL GEAR SOLID V by using the iDROID as a navigational system and support terminal for calling support helicopters. 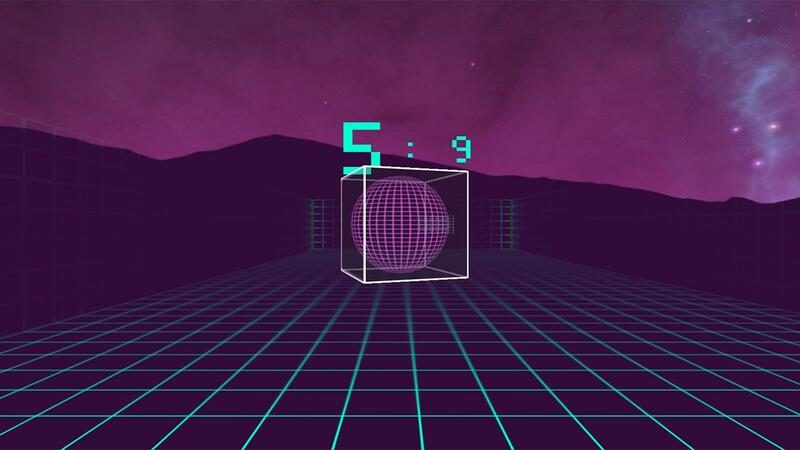 HeadBatt is a VR game that takes the basics of Pong and... well, replaces the paddle with your head. It makes sense, since you have limited control when using a phone and a VR headset, but there's no escaping the fact that it's kind of weird. 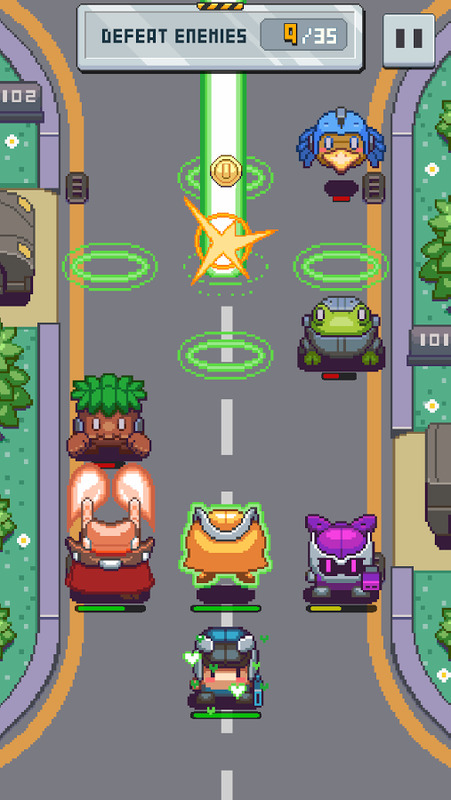 Standard single-player and online multiplayer is included. 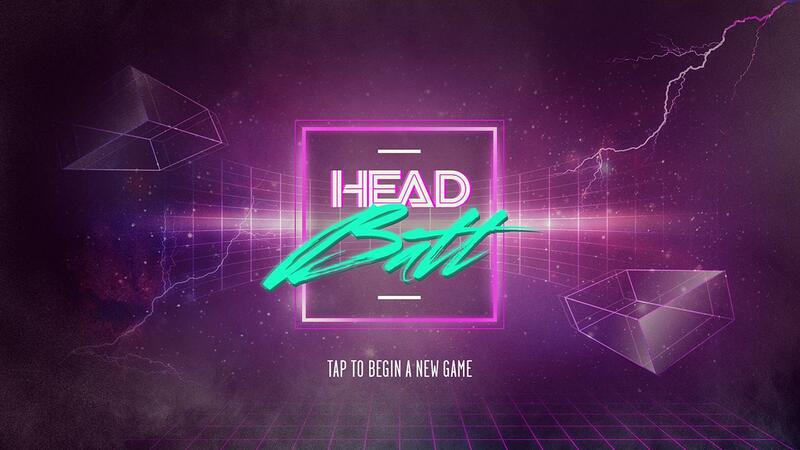 HEADBATT is an 80's style bat and ball game with a virtual reality twist: your head becomes the batt. 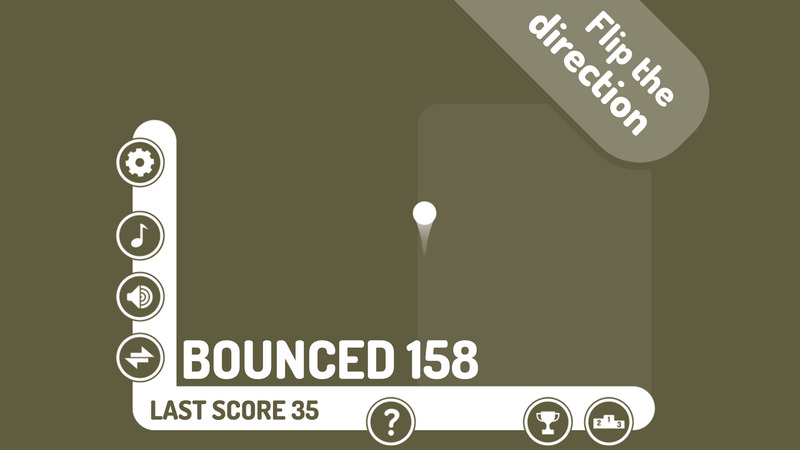 Tilt your head left and right to hit the ball past your opponent and score points. 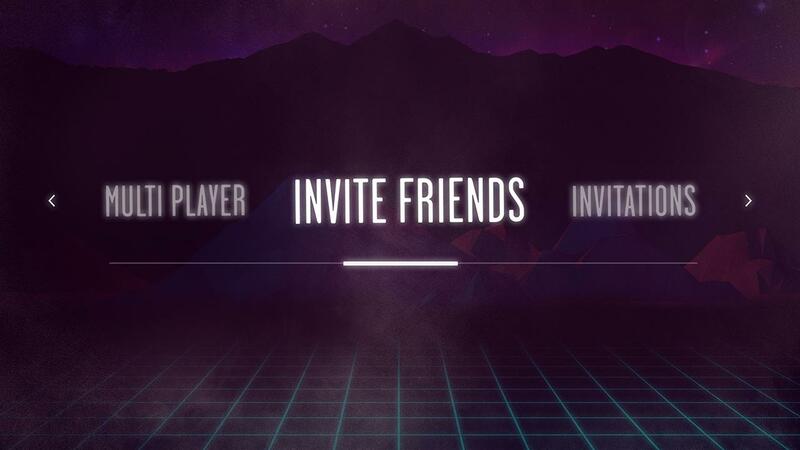 HEADBATT includes a remote multi-player mode so that you can play with a friend who lives in a different city or even on a different continent. 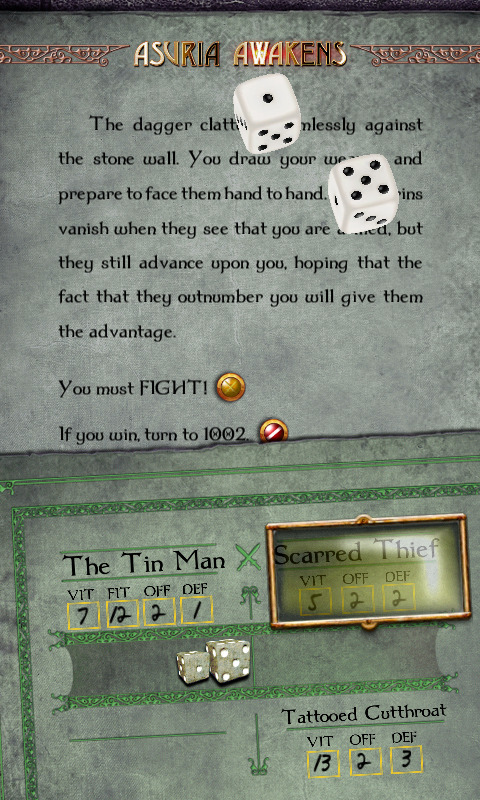 In single-player mode, you play against an AI opponent. HEADBATT is a labour of love that began life as a Christmas party project at UNIT9, before evolving into its current shape. Happy batting. 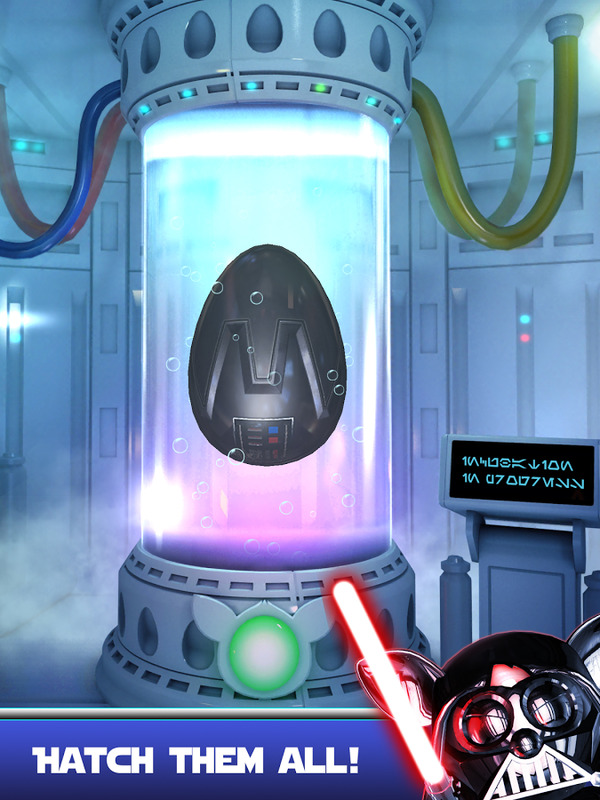 If you're wondering whether Disney intended to have any restraint or shame at all with the new round of licensed Star Wars toys, app-enabled Furby versions of major characters should answer your questions. Welcome to 2015, boys and girls. 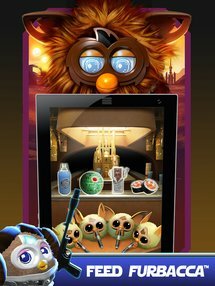 • Feed FURBACCA over a dozen STAR WARS™ themed foods to find out what he likes… or dislikes. 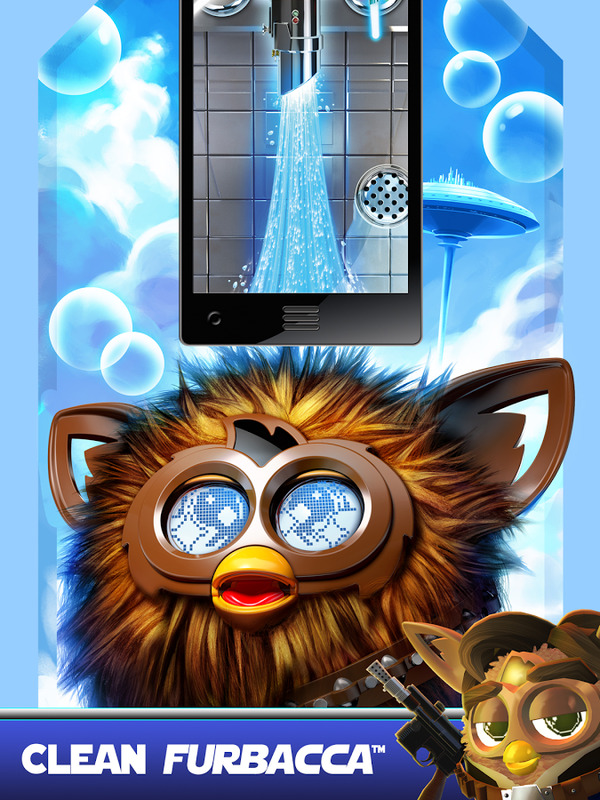 • Clean FURBACCA with his awesome Lightsaber-themed shower. Find out what happens when you give FURBACCA a Dark Side shower. 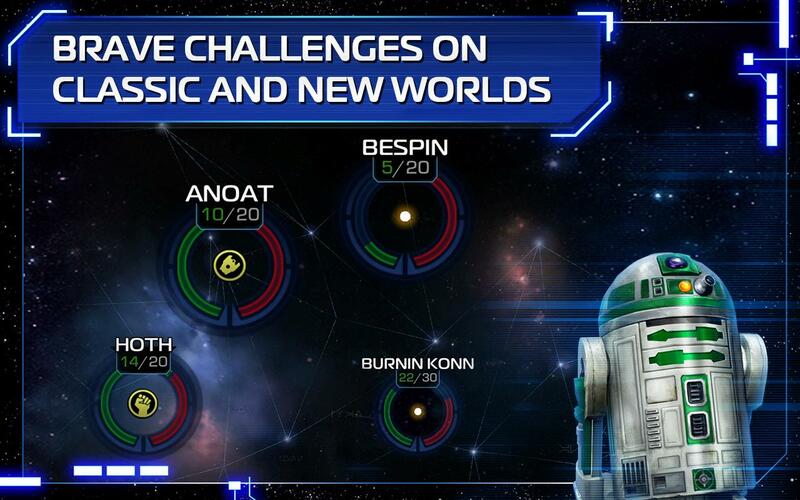 • Call in Furbacca to unleash his epic Bowcaster skills in the Droid Blasting challenge. 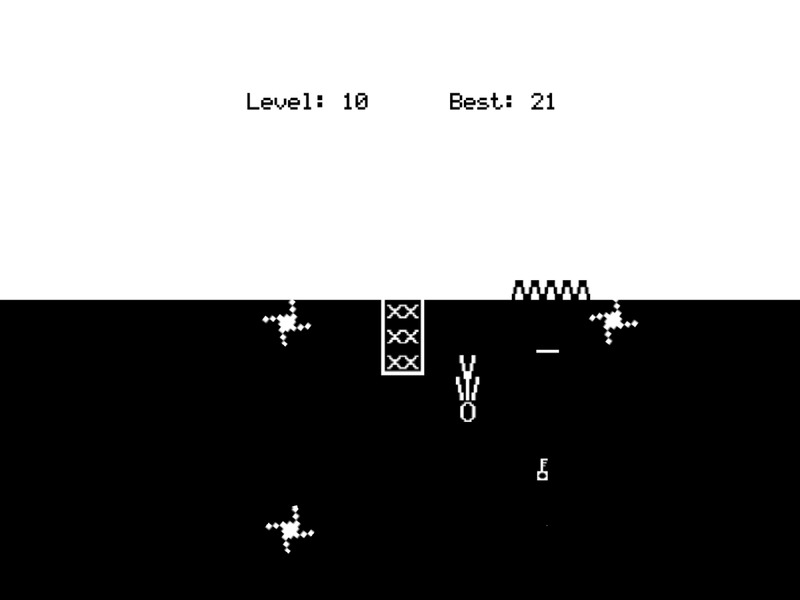 Most of the time when you add "Gold" to the title of a game, it implies something extra over the previous release. 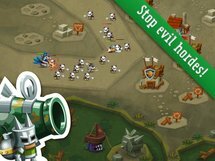 In the case of Noodlecake's whimsical tower defense game Tower Dwellers, that something extra is in-app purchases. It's OK though - now the game is free, and the original structure means you probably won't have to shell out anything to experience the best bits. And if you do, Tower Dwellers Non-Gold is just four bucks. ONE OF THE BEST MOBILE TOWER DEFENCE GAMES IS NOW FREE TO DOWNLOAD AND PLAY. So you are here. The legend fulfilled. You will lead us to battle, purge the land and rebuild. 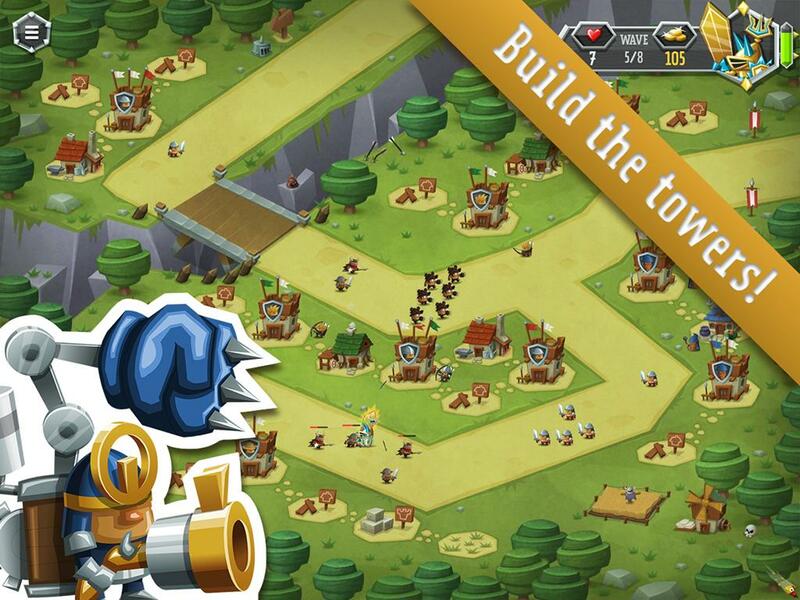 Choose from powerful HEROES who have come to help you out with defeating all Evil Hordes.